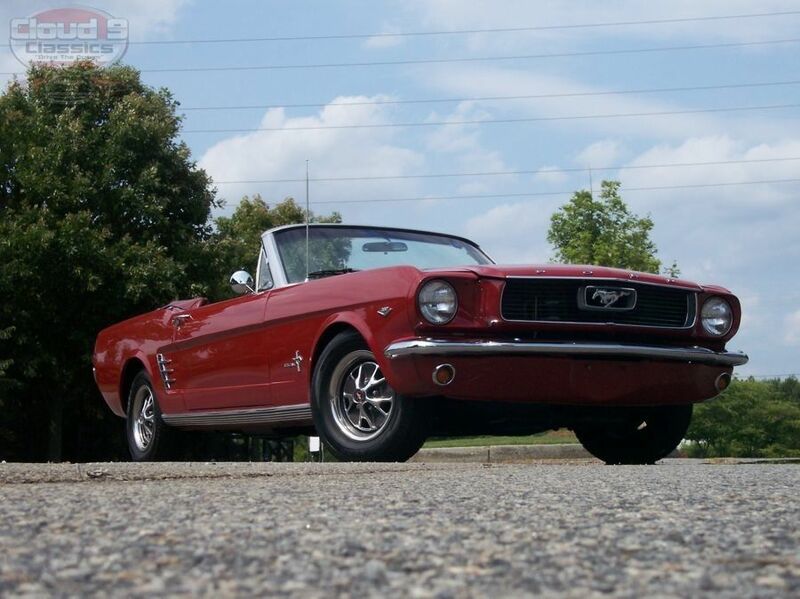 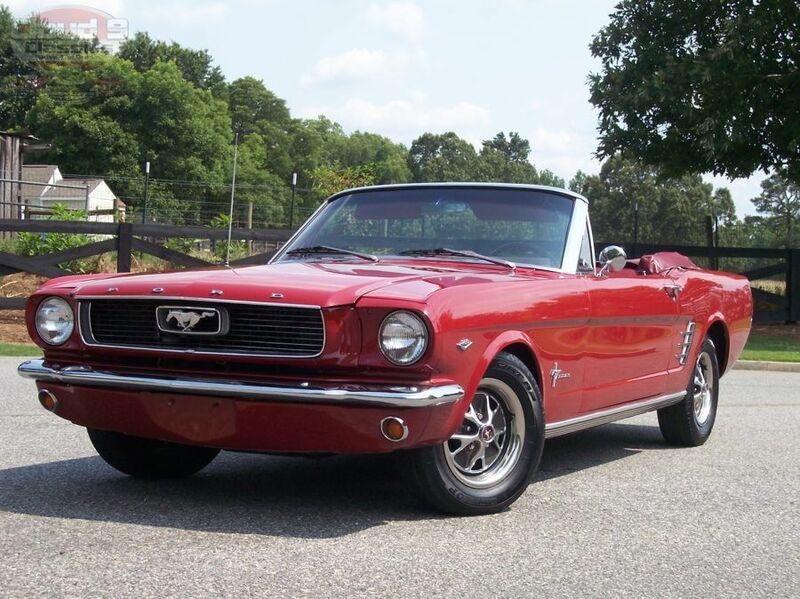 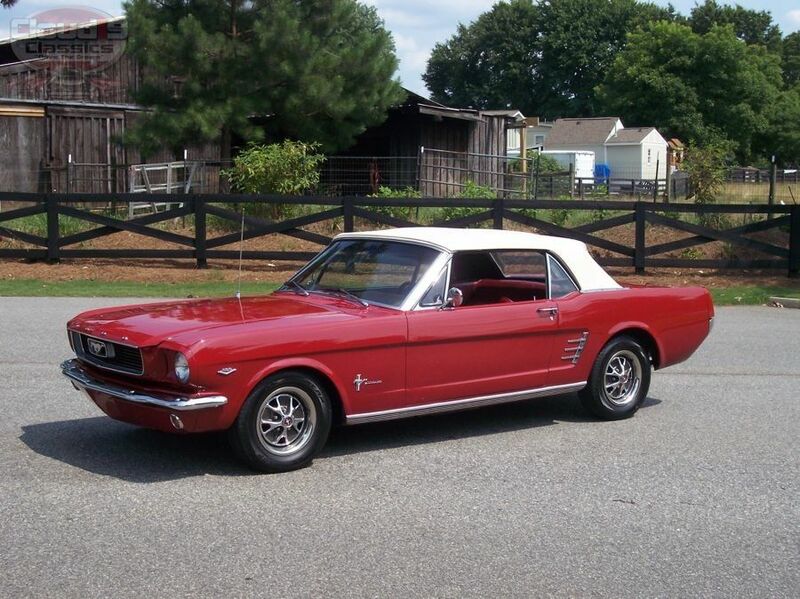 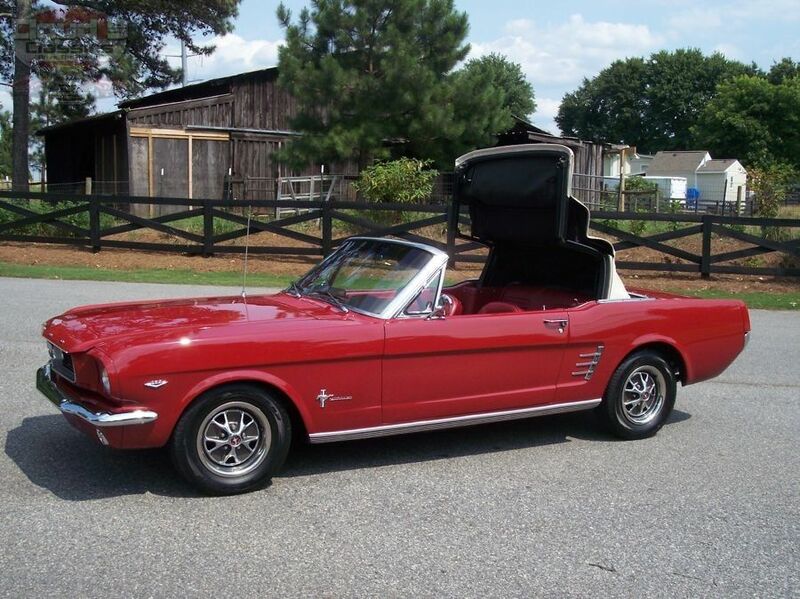 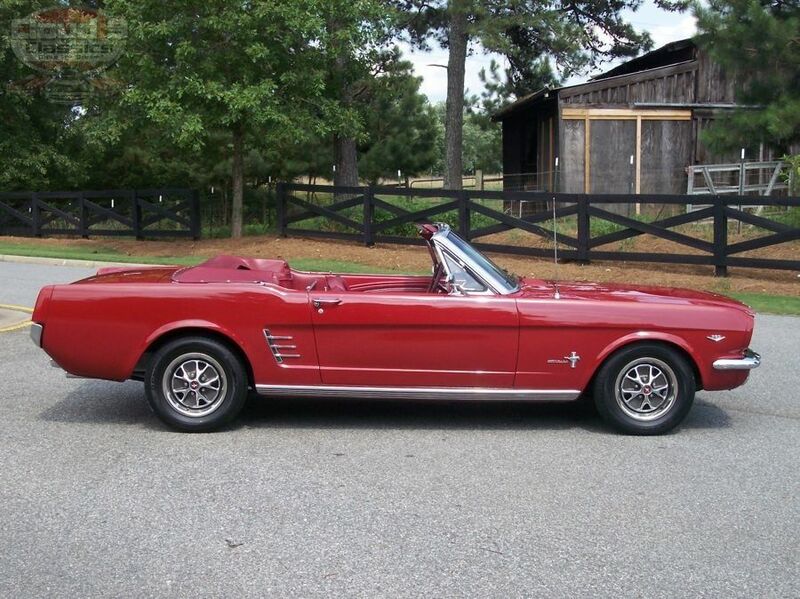 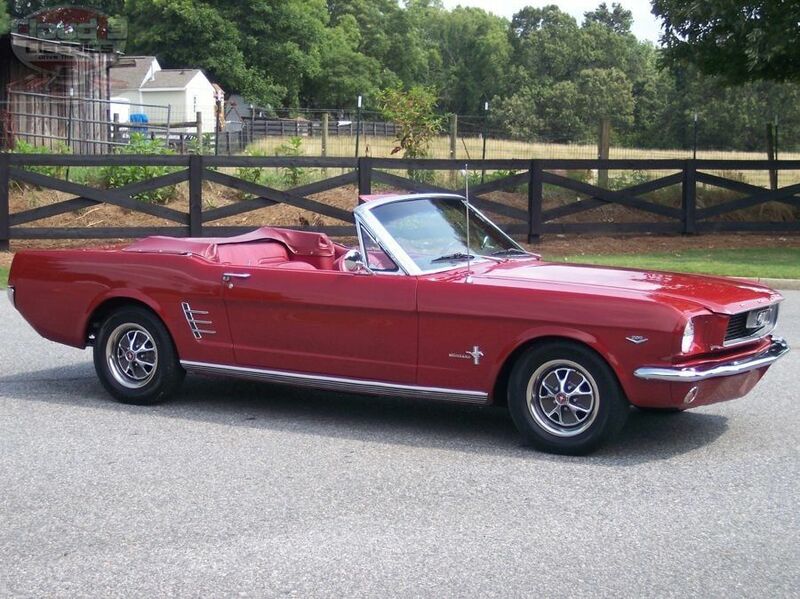 ABSOLUTELY GORGEOUS, 2 OWNER, CANDY APPLE RED 1966 FORD MUSTANG CONVERTIBLE…NICELY RESTORED, LOW MILEAGE, LOADED WITH POWER STEERING, POWER FRONT DISC BRAKES, AND ICE COLD AIR CONDITIONING…READY TO SHOW AND GO!!! 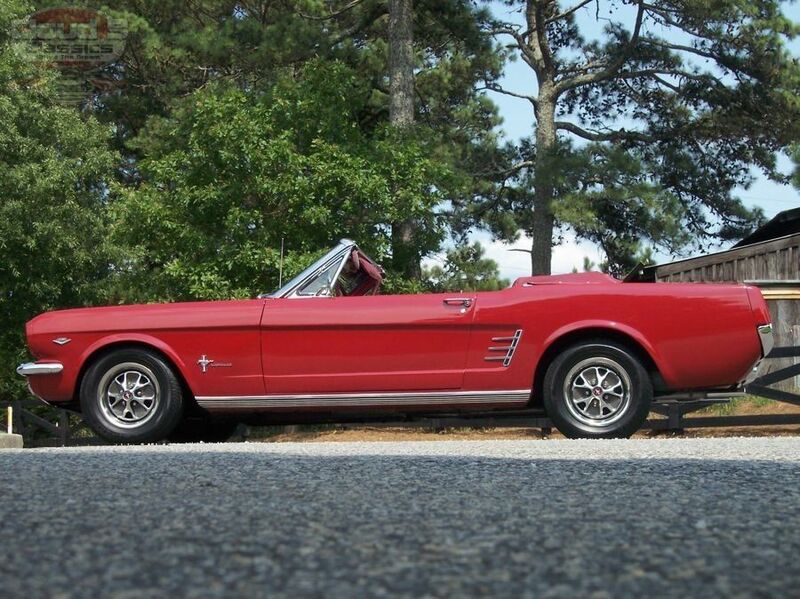 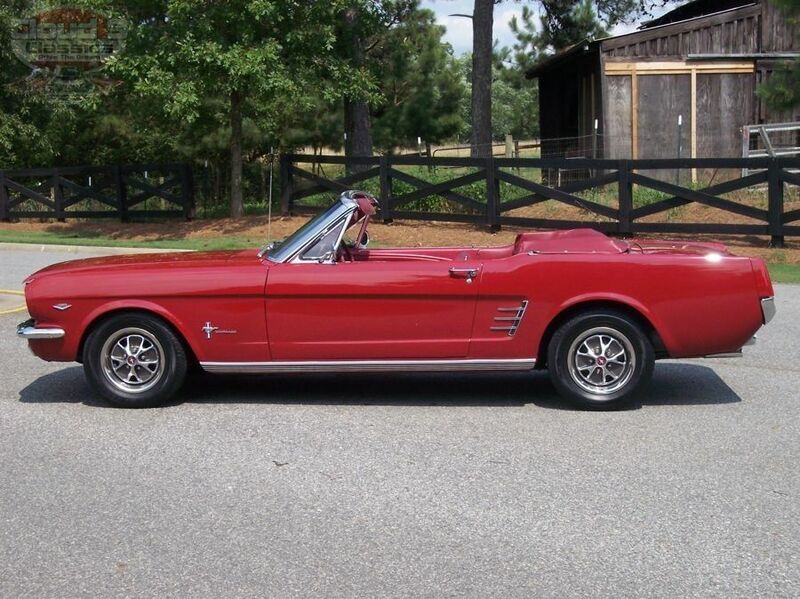 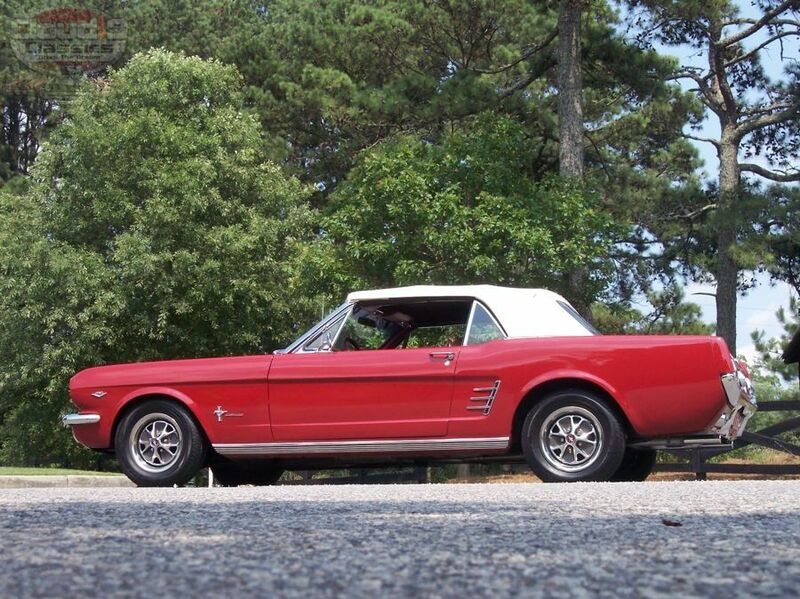 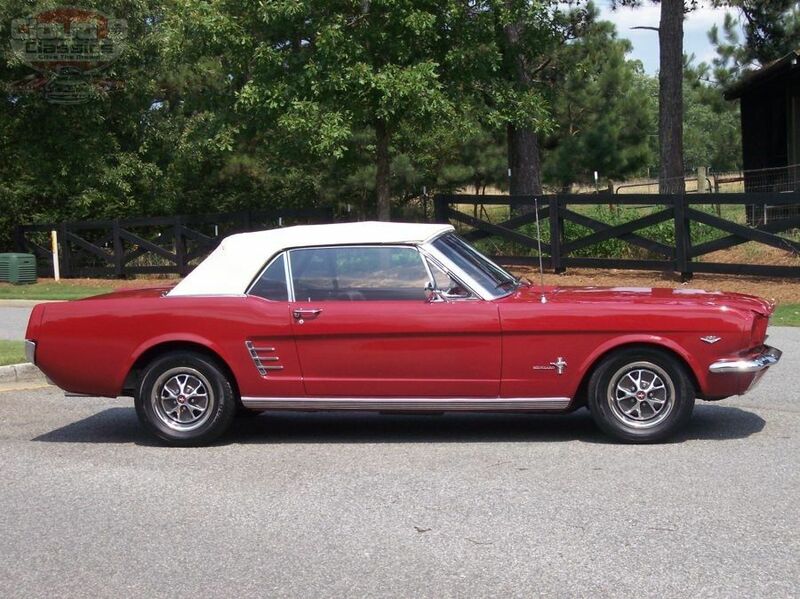 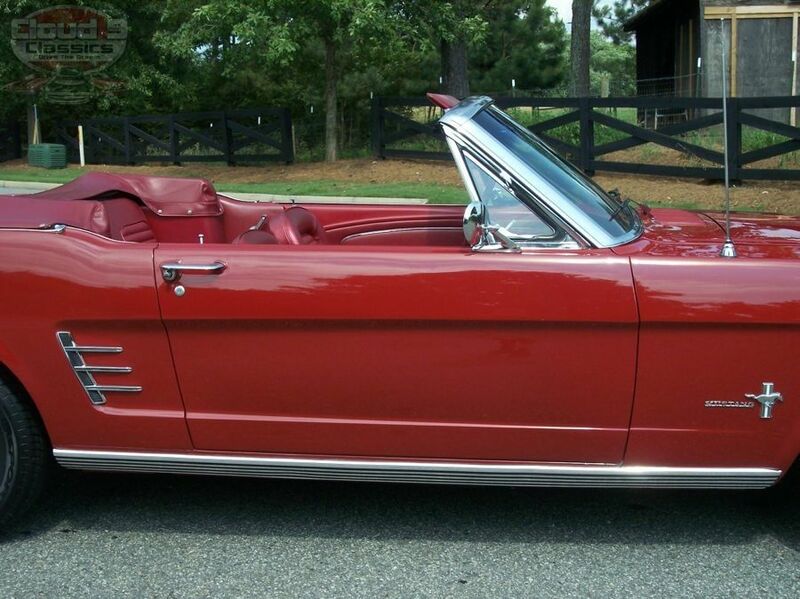 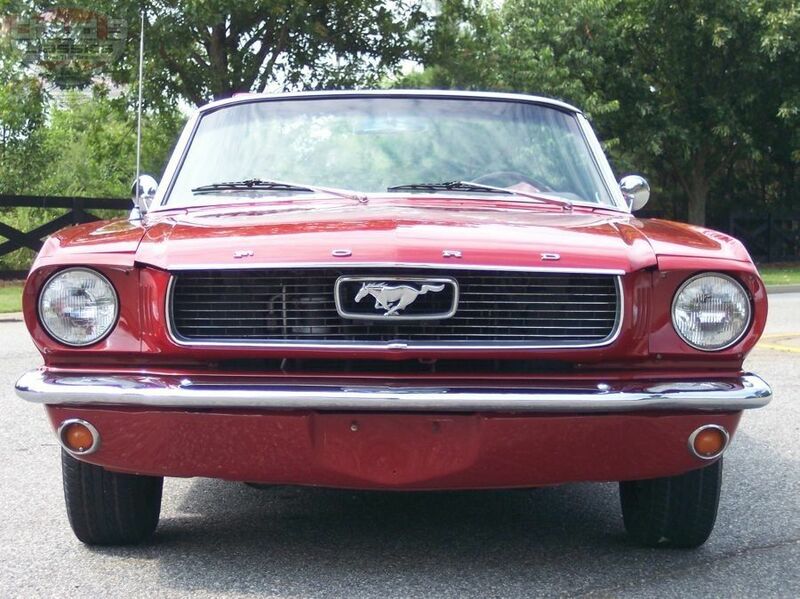 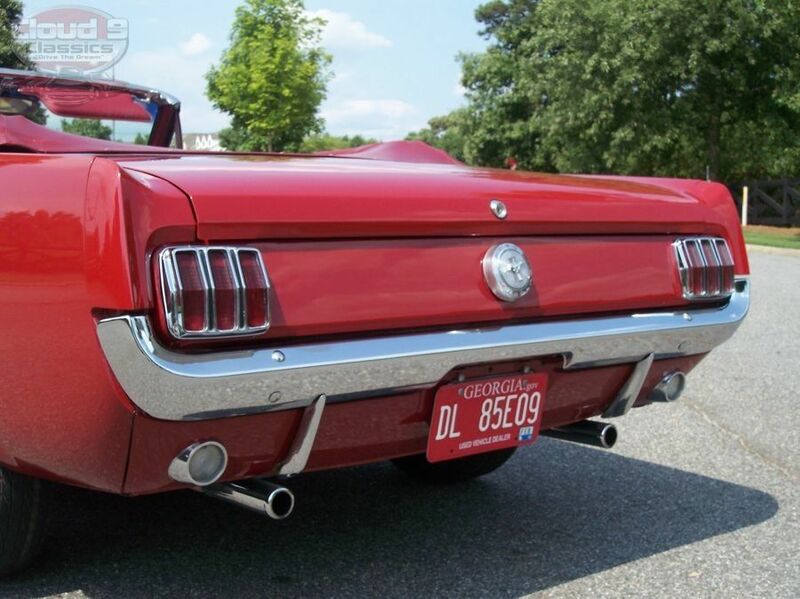 HAVE YOU BEEN SEARCHING FOR A BEAUTIFUL CLASSIC FORD MUSTANG CONVERTIBLE? 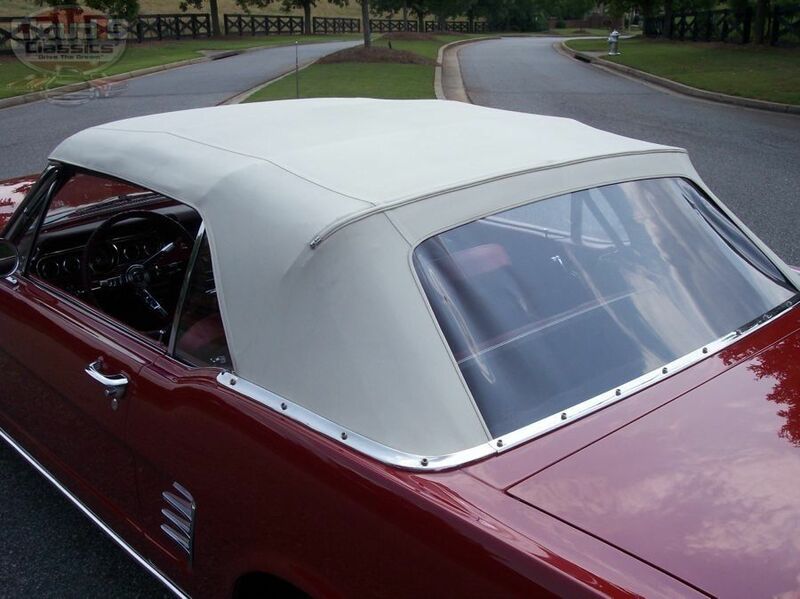 WOULD YOU LOVE TO FIND ONE THAT HAS LIVED A RUST FREE LIFE AND HAS BEEN PROFESSIONALLY RESTORED? 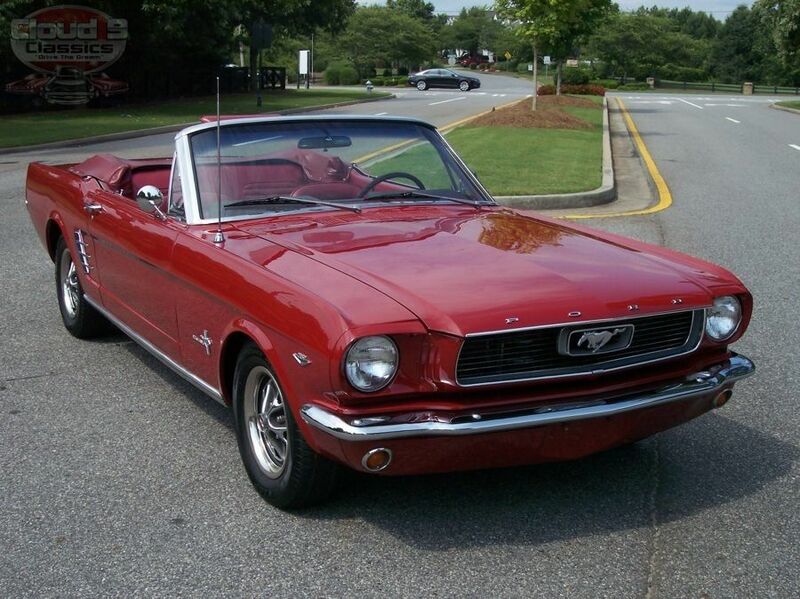 ARE YOU LOOKING FOR A 289 V8, AUTOMATIC, WITH POWER STEERING, POWER DISC BRAKES AND ICE COLD AIR CONDITIONING? 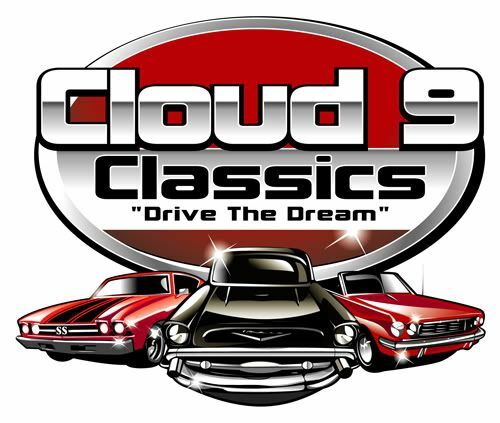 DO YOU PLAN ON DRIVING AND ENJOYING YOUR CLASSIC AND WOULD PREFER THAT THE ORIGINAL DRIVE TRAIN WAS REBUILT AND THAT THE CAR IS READY TO GET IN AND GO THE DAY IT ARRIVES TO YOU? 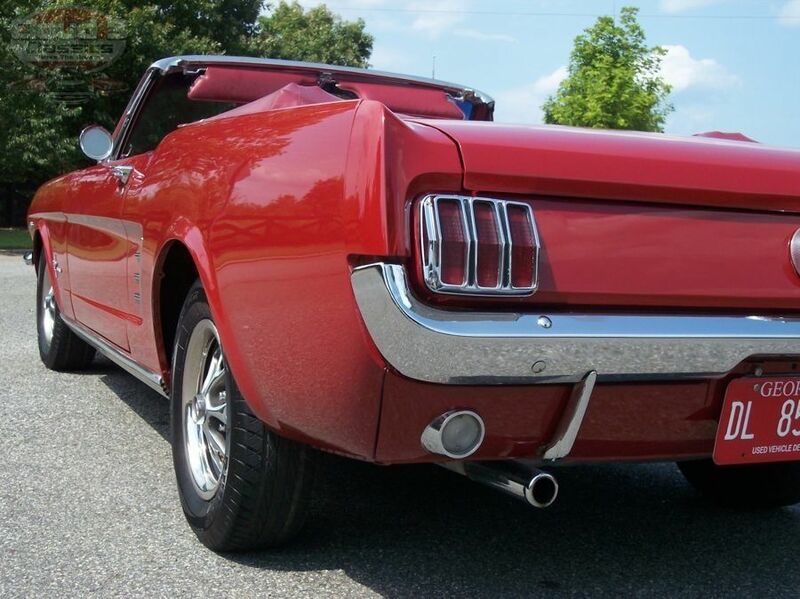 WELL, IF YOU HAVE BEEN SHAKING YOUR HEAD YES THEN SIT BACK AND ENJOY….THIS MAY BE THE CLASSIC PONY CONVERTIBLE YOU HAVE BEEN WAITING FOR!! 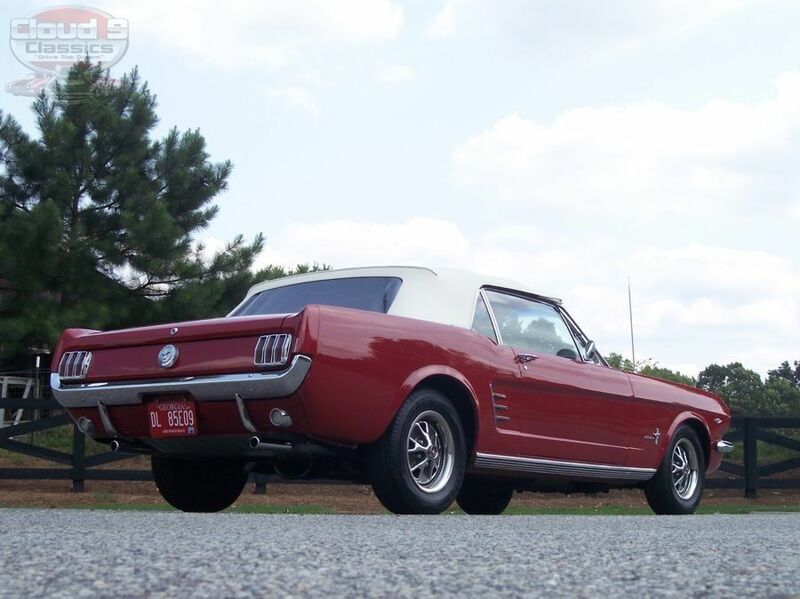 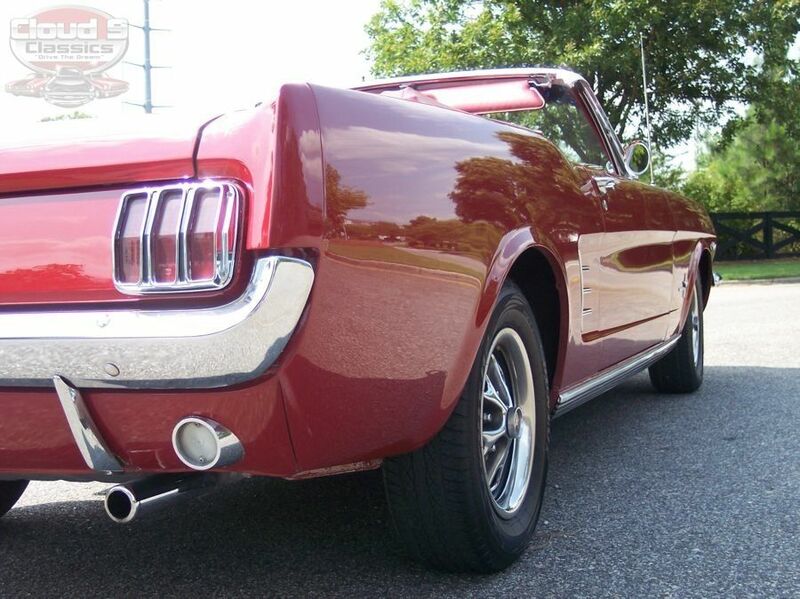 This beautiful candy apple red 1966 Ford Mustang Convertible recently arrived to us from a couple who had purchased it 25 years ago from the original owner in South Carolina. 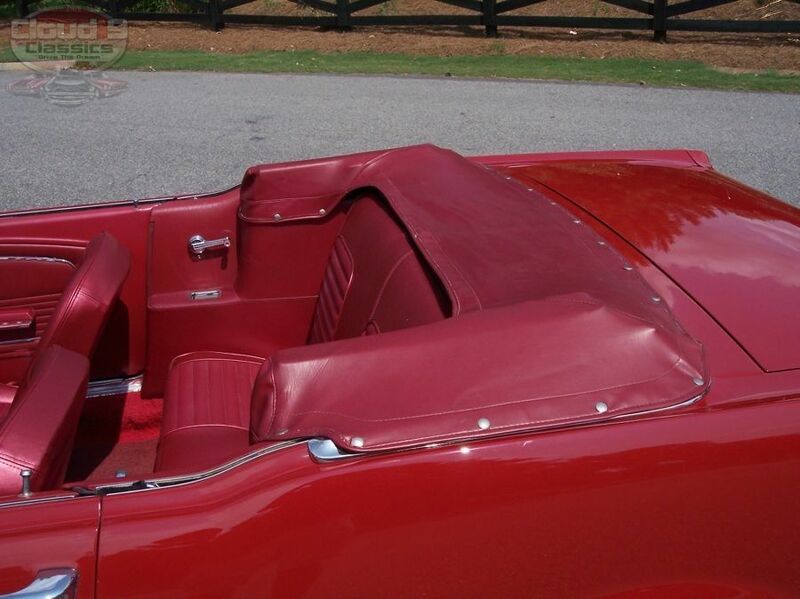 They babied the car over their many years of ownership and in 2003 decided it was time to treat it to a professional restoration. 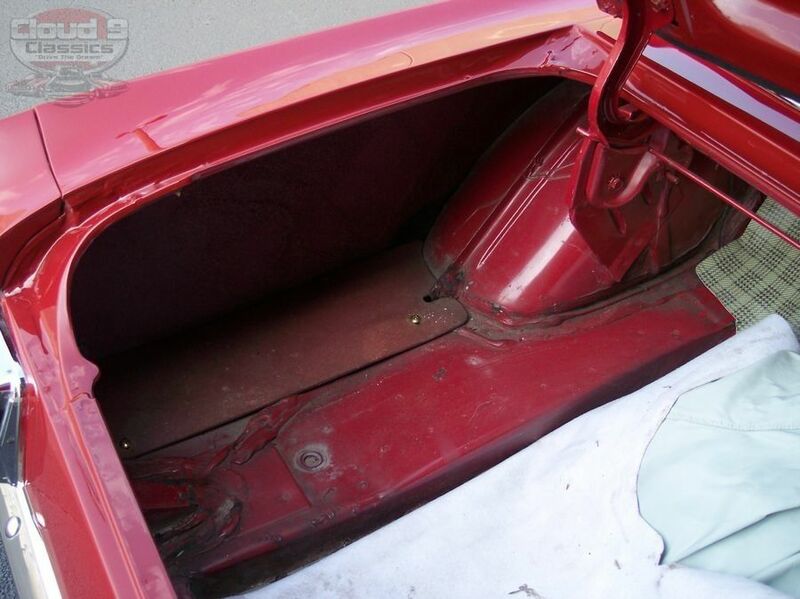 They indicated that the body was pretty much rust free and still had all of its original body panels. 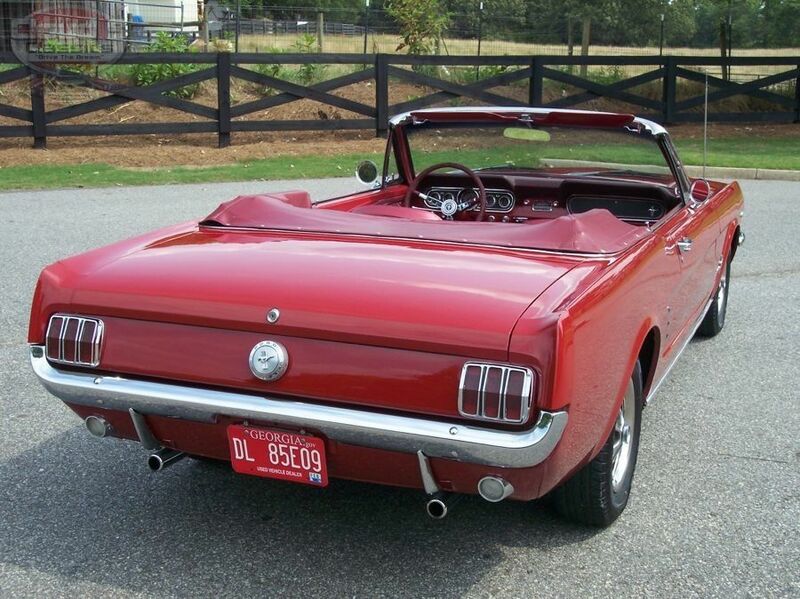 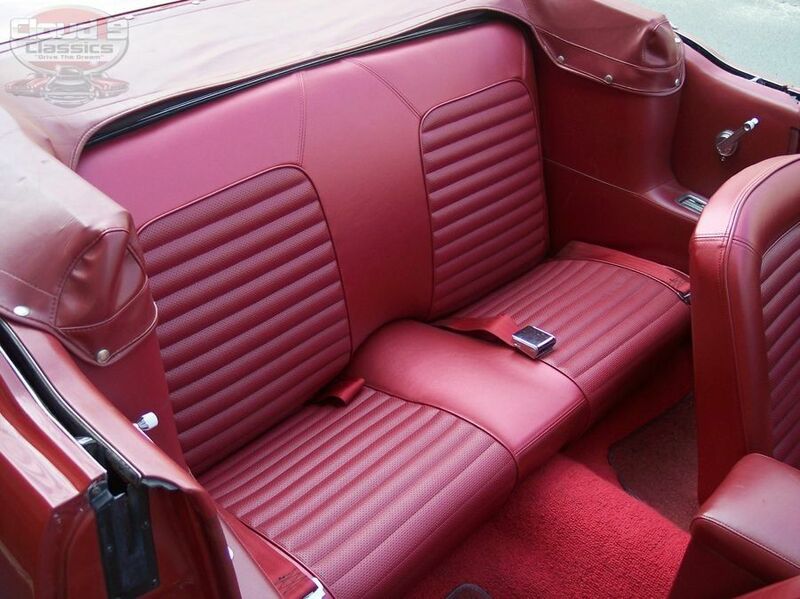 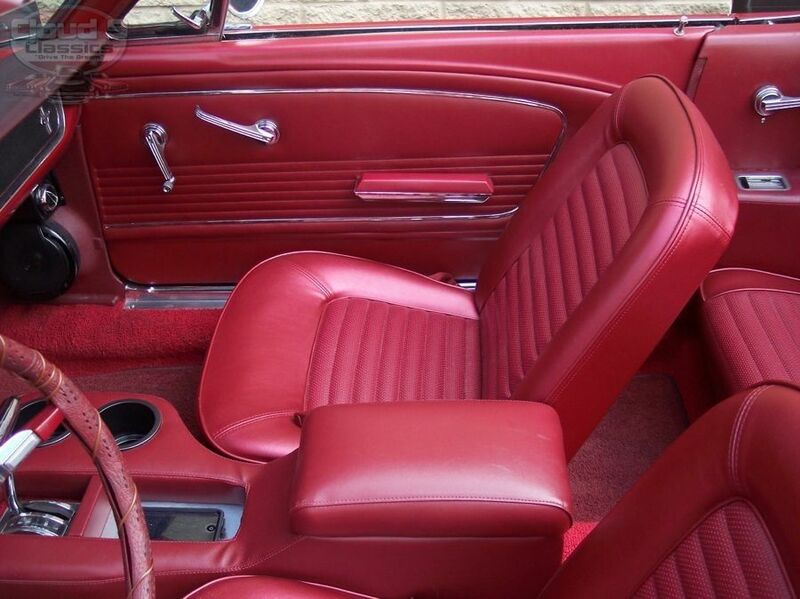 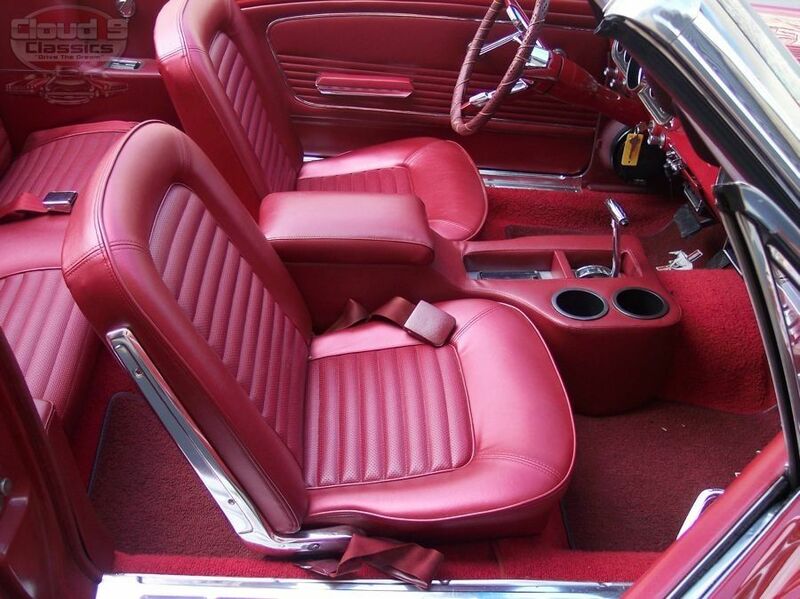 The original candy apple red was showing its age and they had planned on keeping the car quite a few more years. 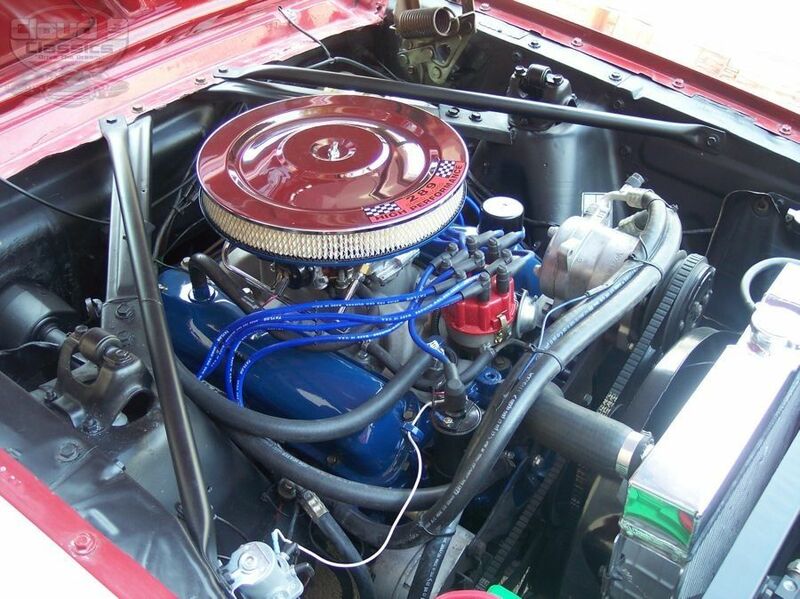 In addition to the cosmetic restoration they had the motor completely rebuilt and also in recent years added several upgrades including power steering and power front disc brakes. 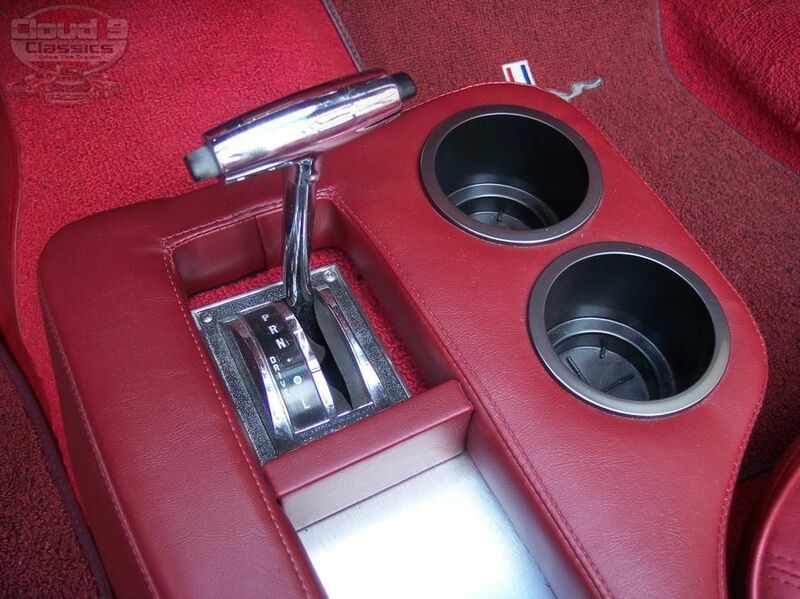 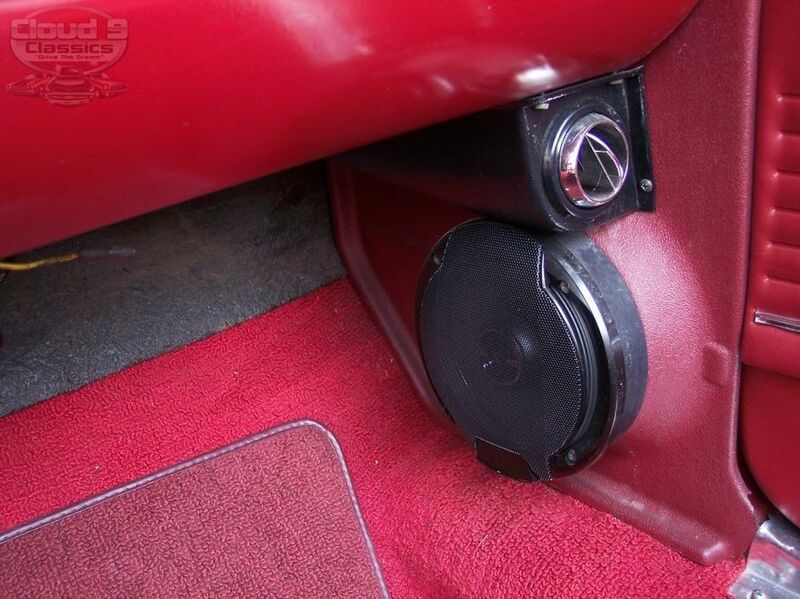 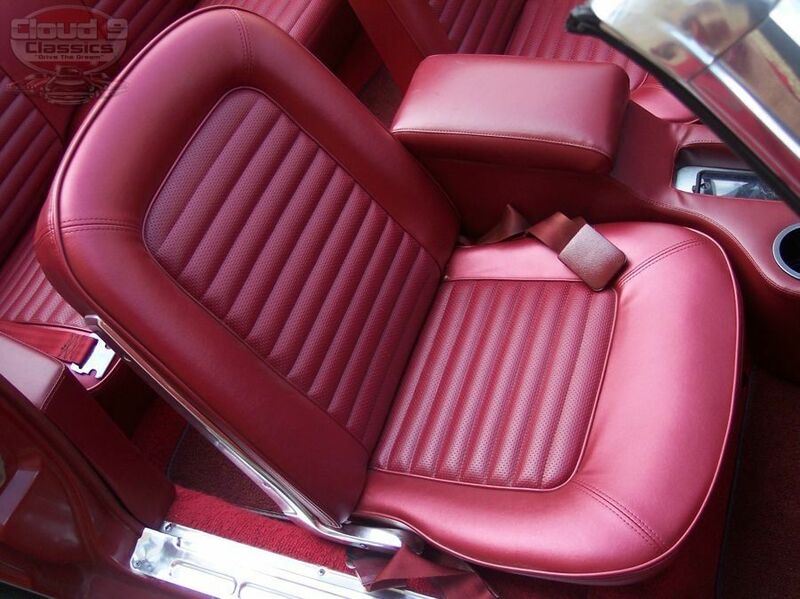 They also added aftermarket air conditioning and heat. 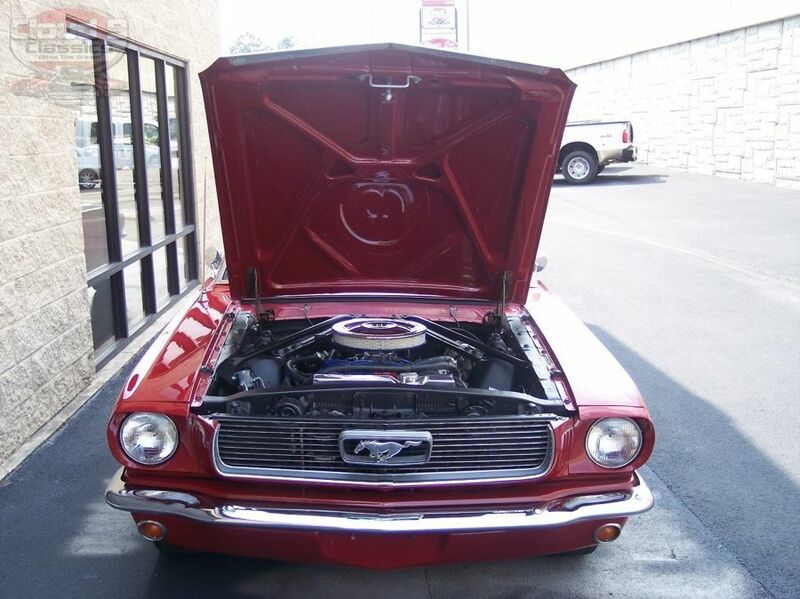 They told me the car had 76,000 miles on it when they originally purchased it and it currently has just under 99,500 original miles on it. 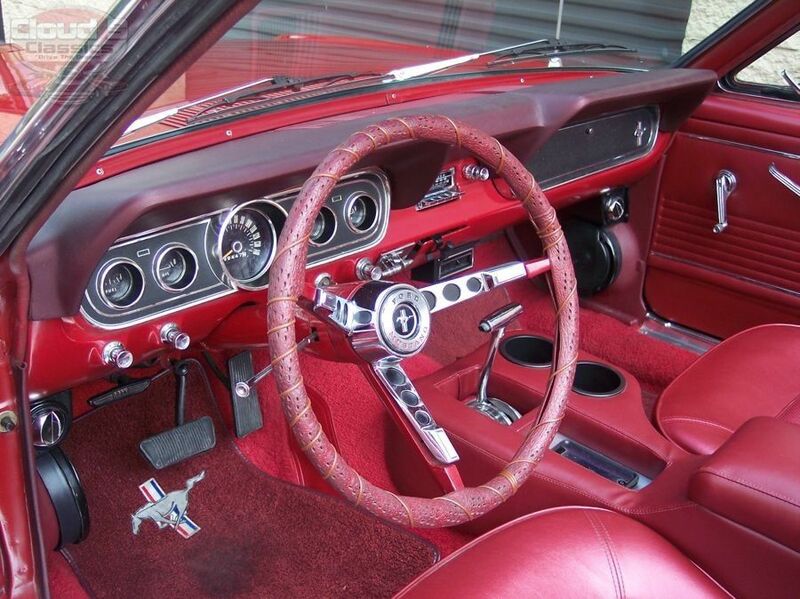 This was a sunny day cruiser that they enjoyed taking to local cruise-ins and car shows. 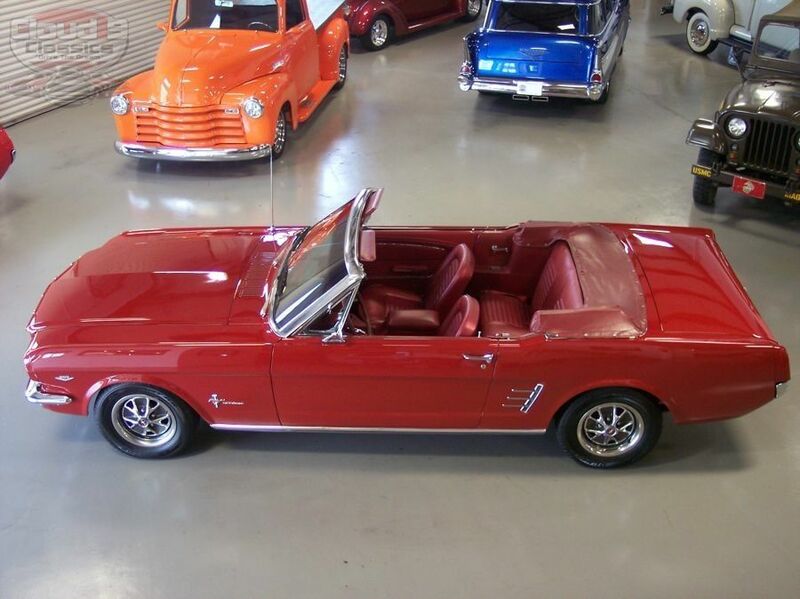 Although it has been 12 years since the car was last painted it still looks fantastic as it was rarely driven and always stored in the garage. 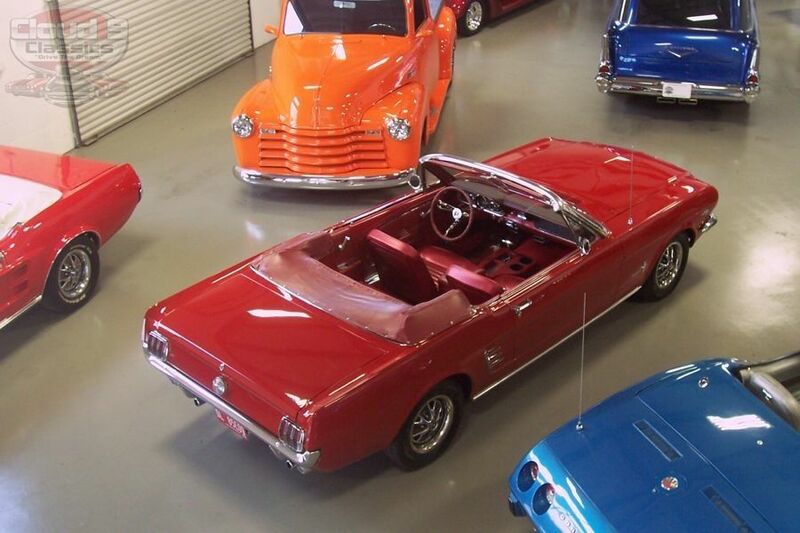 After 25 years of ownership they realized it was time to let the next lucky owner enjoy this sweet Classic Mustang Convertible…maybe you??? 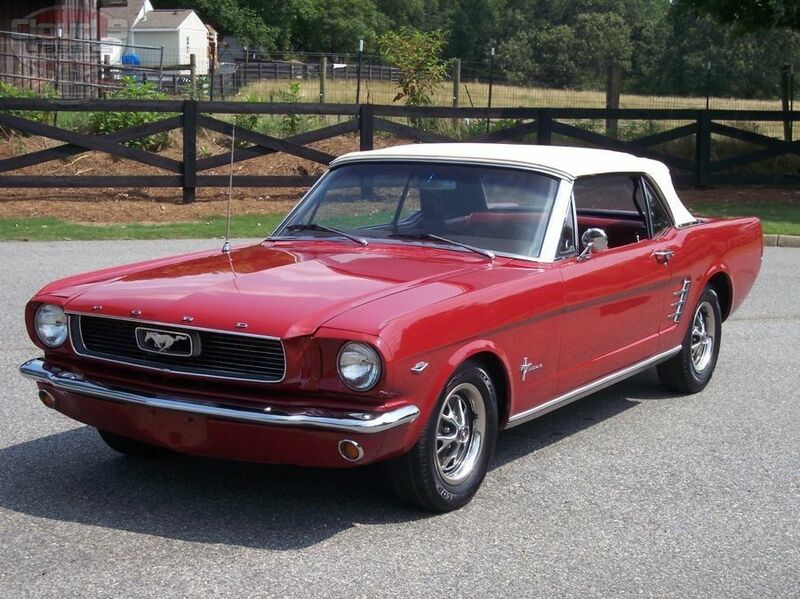 I have driven this car and it runs and drives beautifully!! I will do my best to provide enough large images, a video so you can hear it running, and an honest description to help you decide if this is the one you have been waiting for. 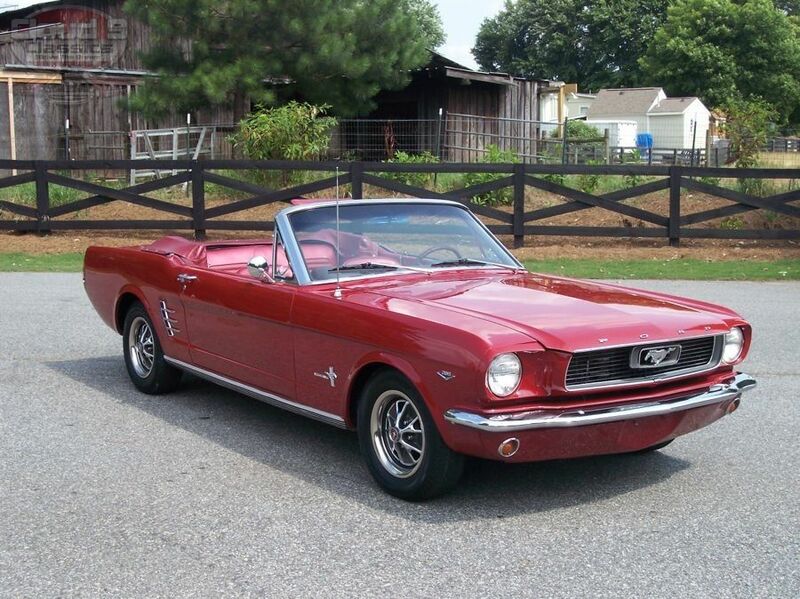 As with all of our classics we do have this car listed on our site and several others. 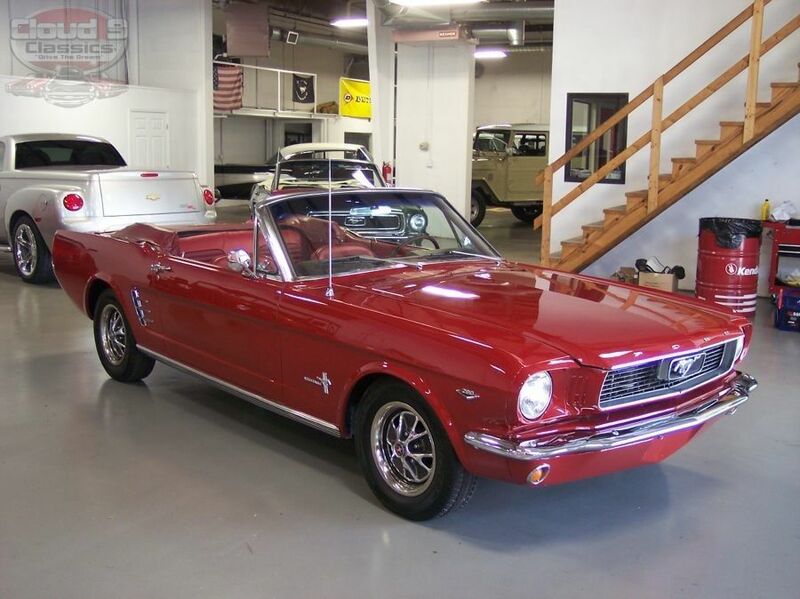 If you do not want to miss out on this one, feel free to call me to discuss getting this beauty in your garage before the next car guy or gal scoops it up! 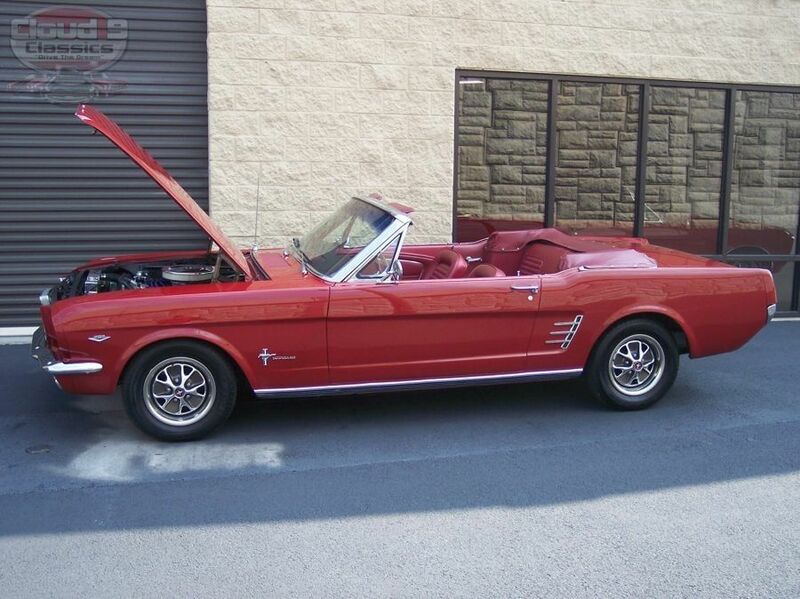 As previously mentioned this ’66 was stripped to bare metal and treated to a high level re-paint in the original candy apple red color 12 years ago. 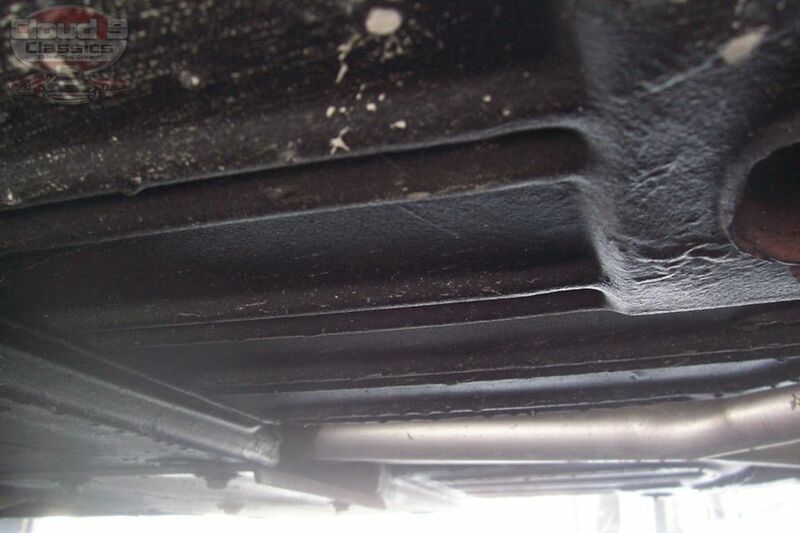 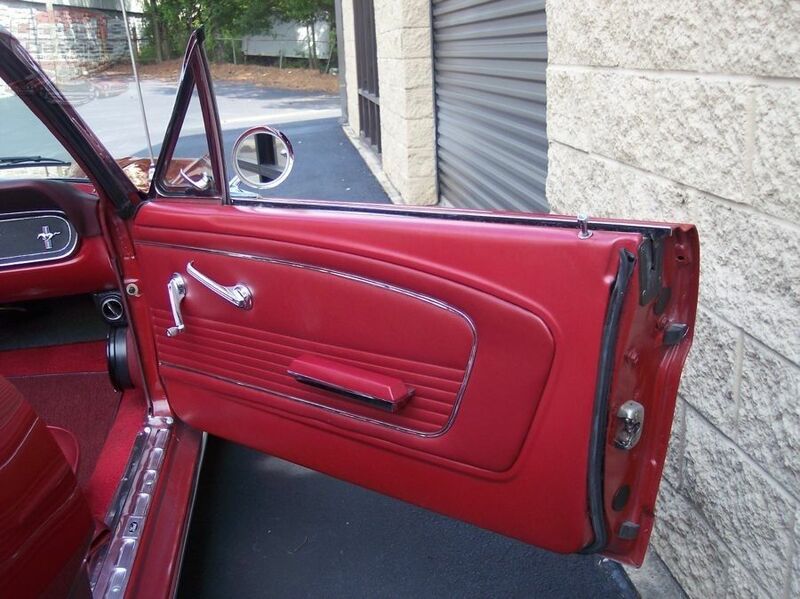 We have the receipts to show that $7500 was spent on this cosmetic restoration. 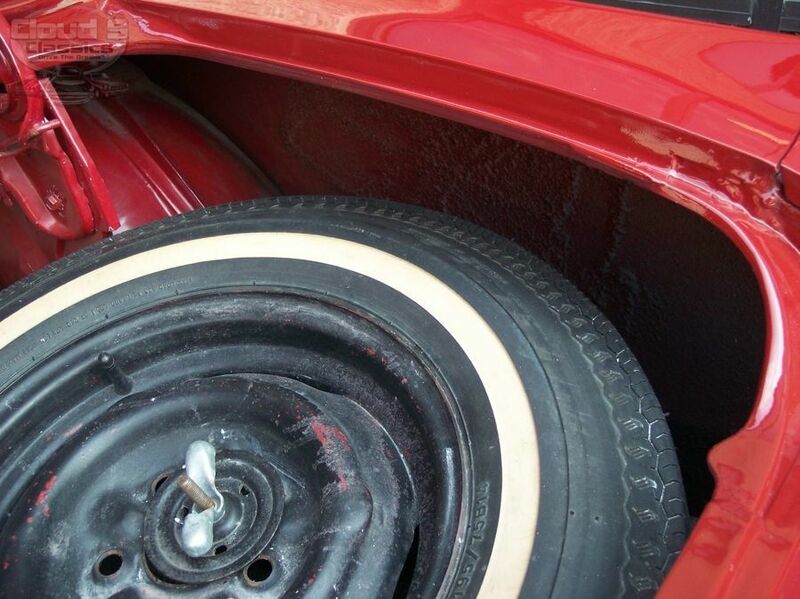 The paint has held up beautifully and was recently wet sanded and buffed out and is ready for the local shows and cruises. 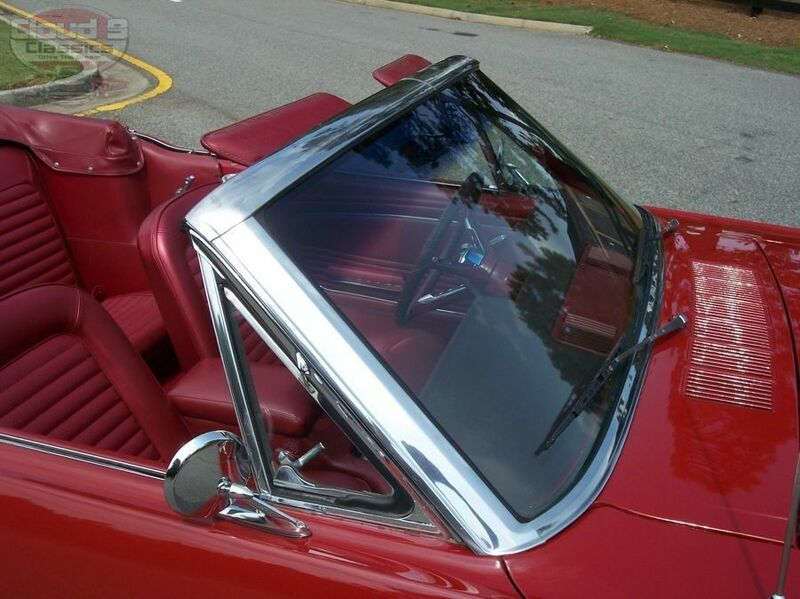 As you will see in the pictures the paint has great luster and reflection. 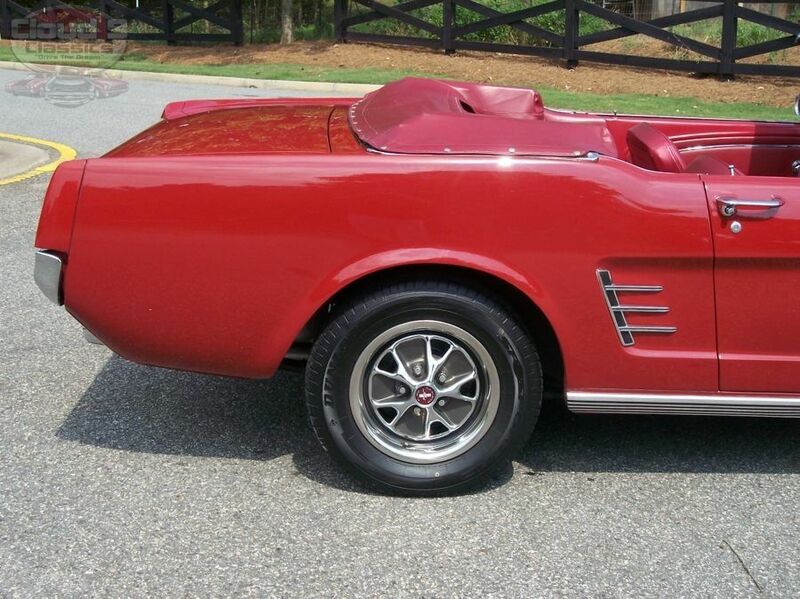 While this car is not a trailer queen, the body is near flawless. 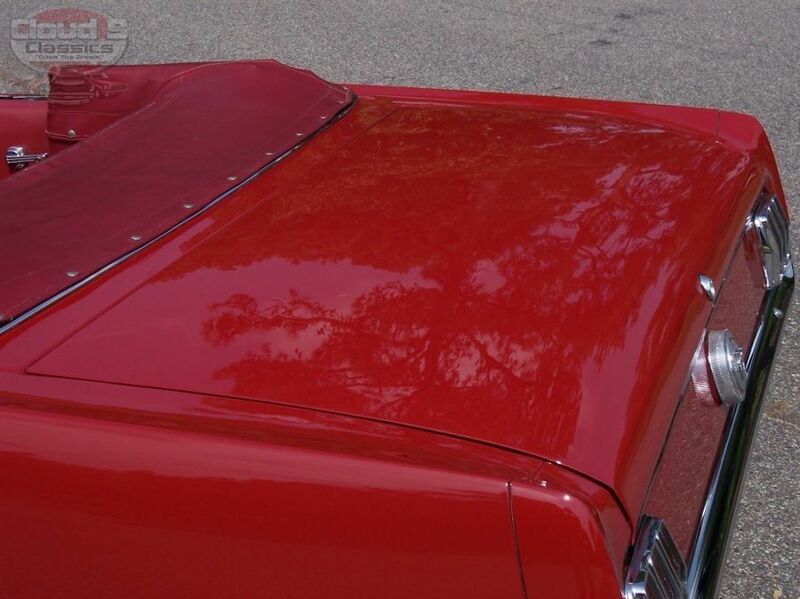 I am sure there are some very minor rock chips or blems but they certainly do not stand out. 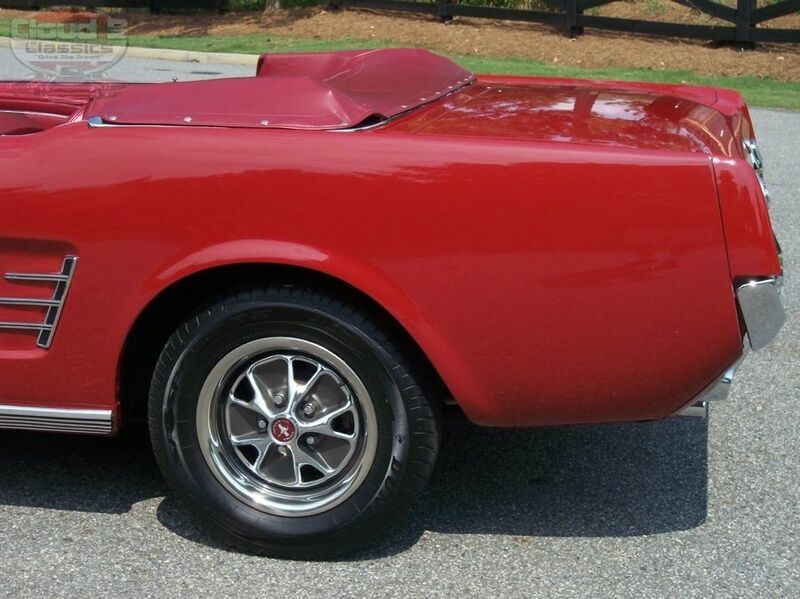 The car appears to have all of its original body panels and the overall body panel fit is excellent. 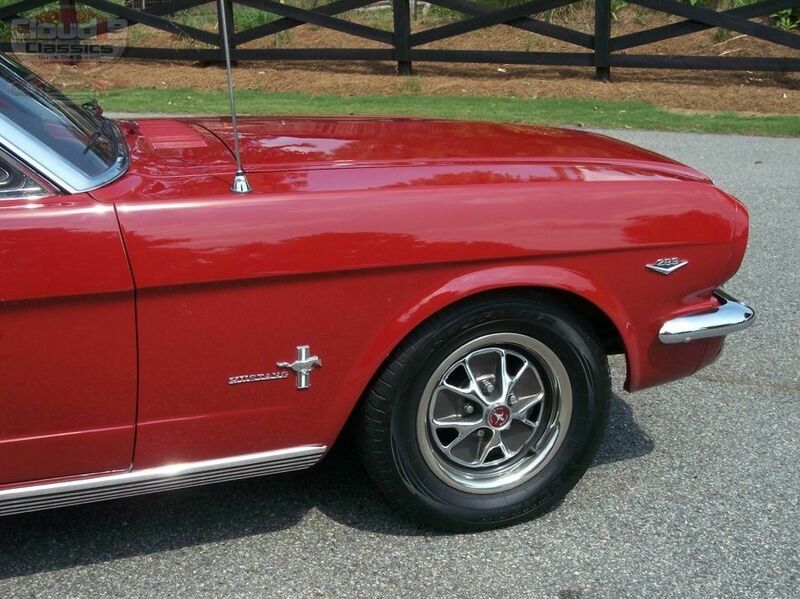 The car is extremely straight and all of the chrome, stainless and emblems look awesome. 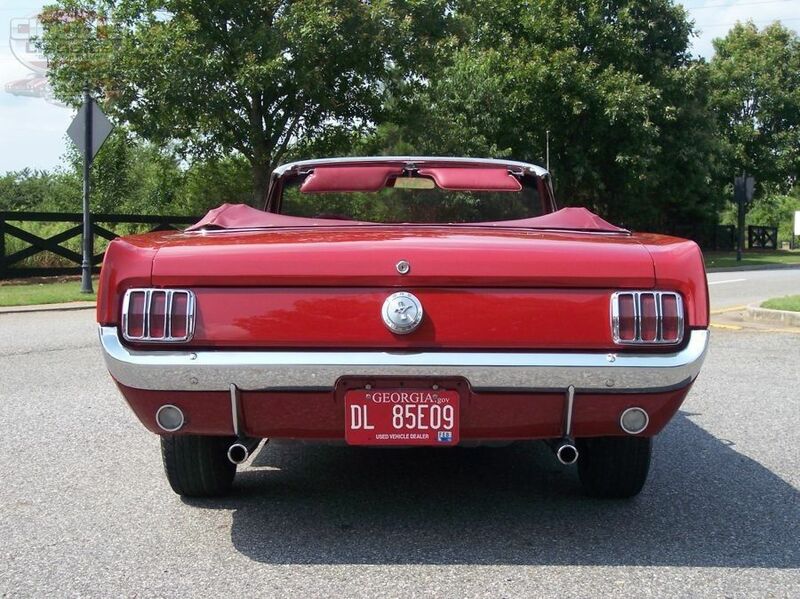 It is hard to argue that candy apple red is simply one of the nicest colors on these classic Mustangs and I think you will see in the pics below that this car wears it well! 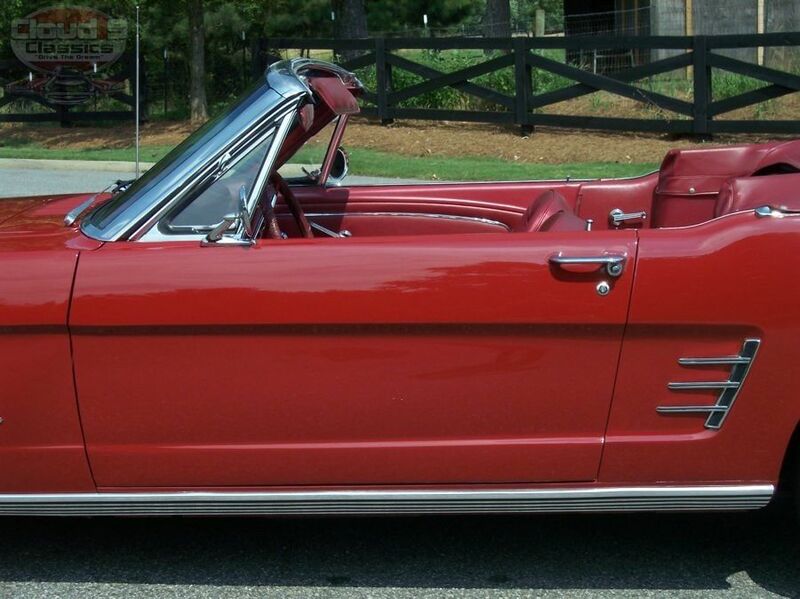 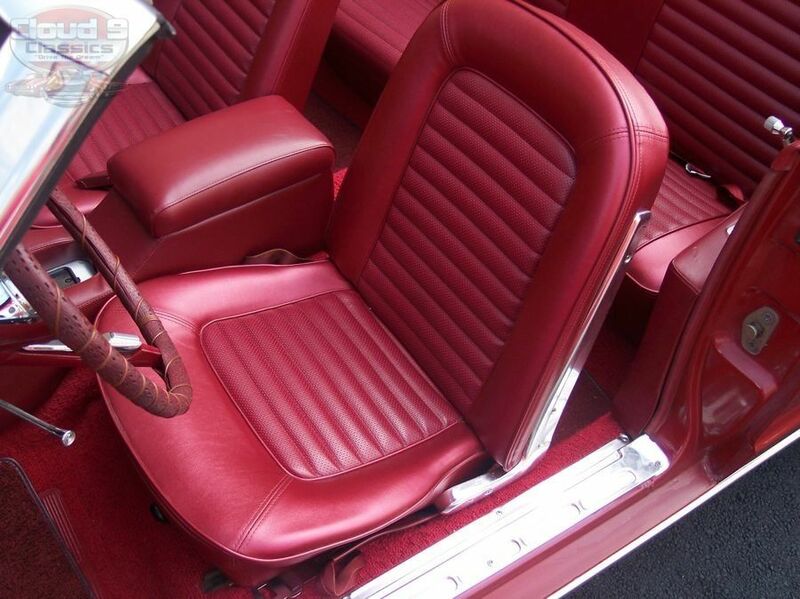 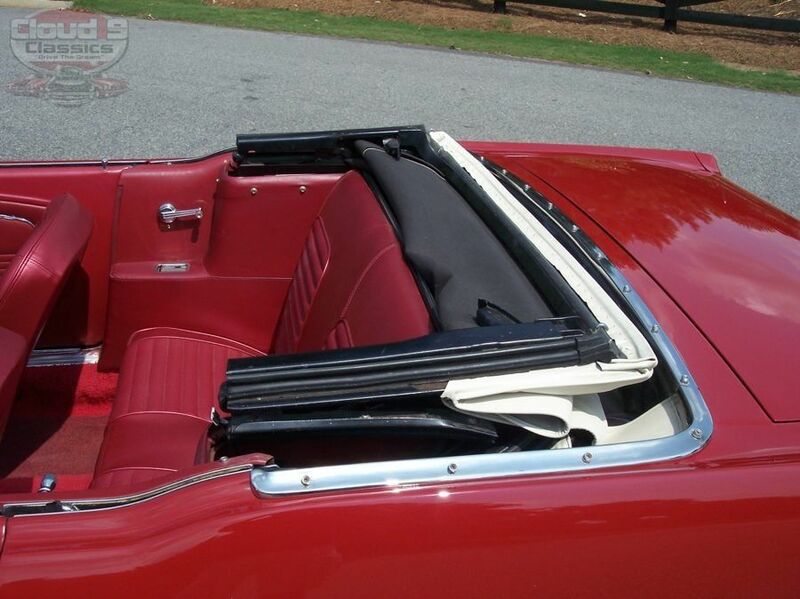 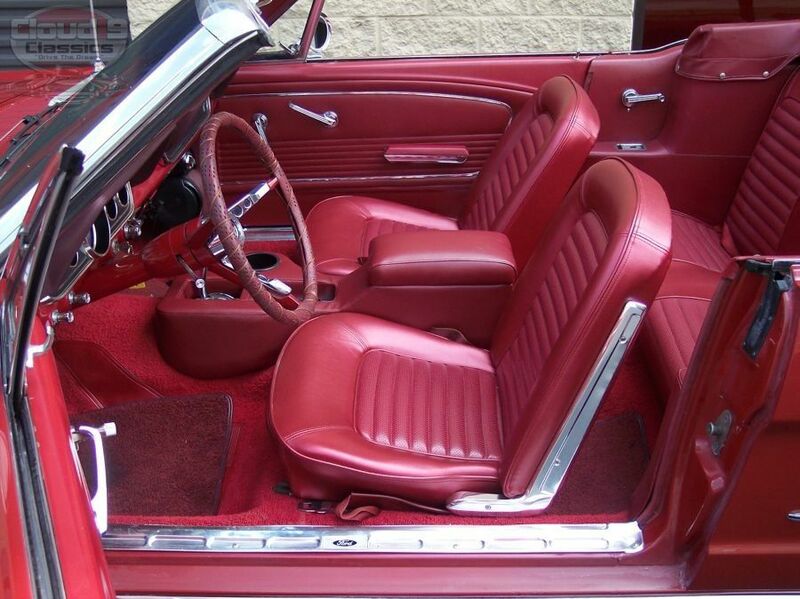 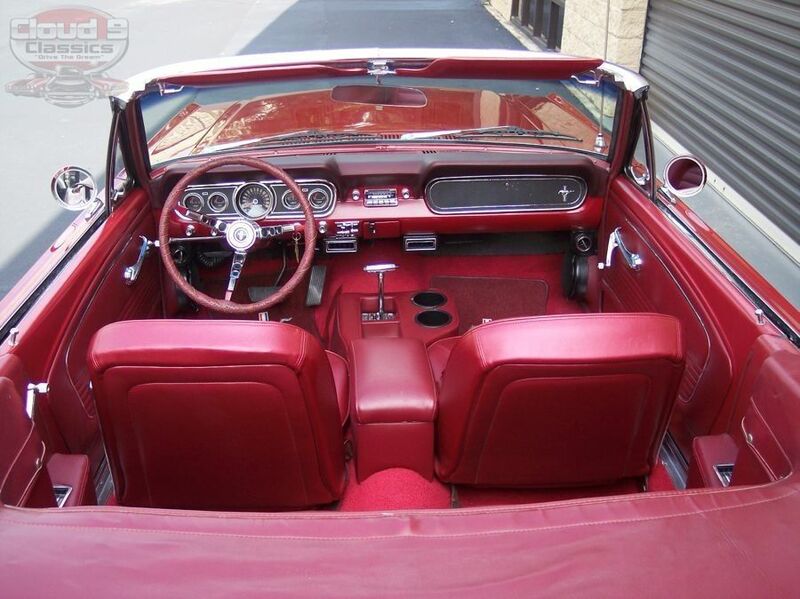 This C-code ’66 Convertible has just under 99,500 original miles on the original 289 V8. 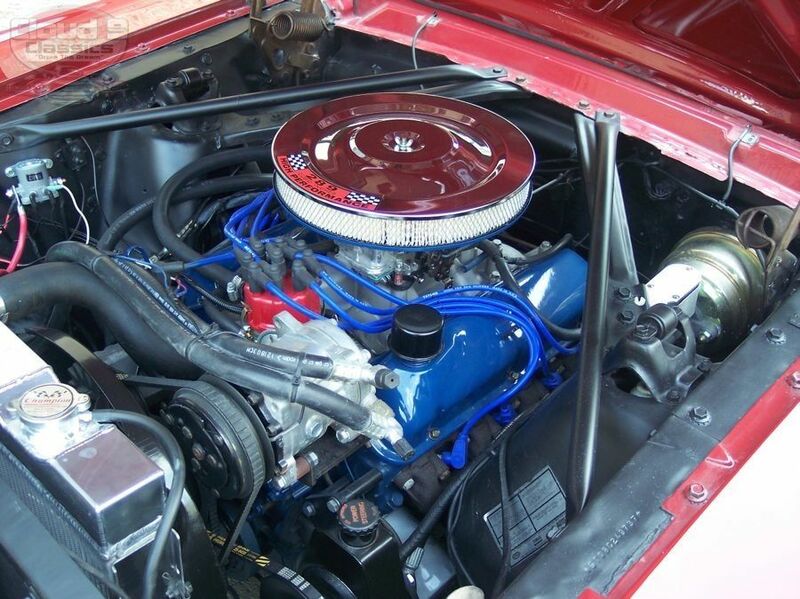 The motor was pulled and completely rebuilt in May, 2003. 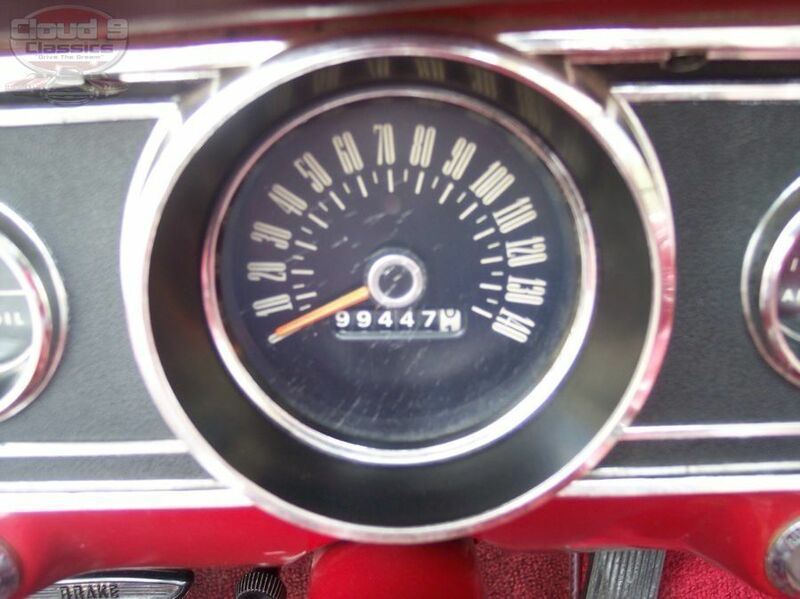 We were told there are approximately 5000 miles on the car since the time it was rebuilt in 2003 and it runs fantastic! 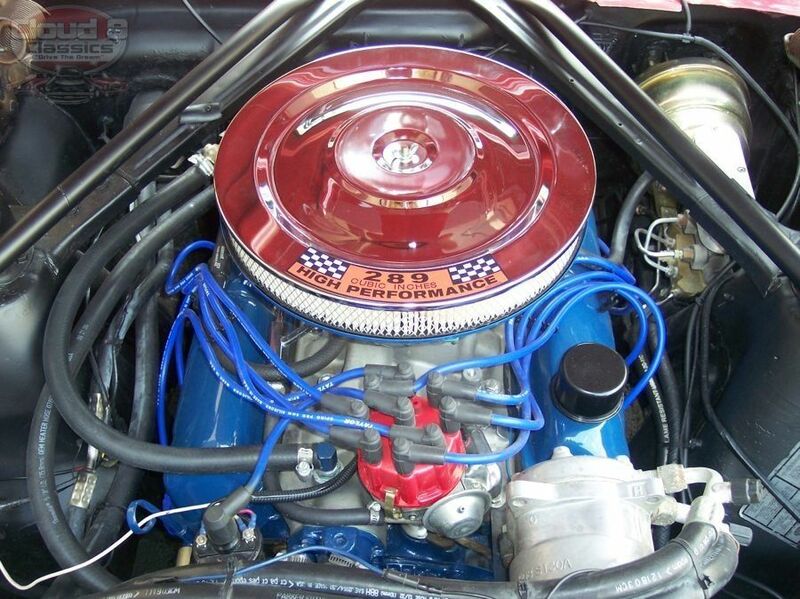 At the time of rebuild, the original 2bbl was upgraded for a bit more horsepower to a 4bbl. 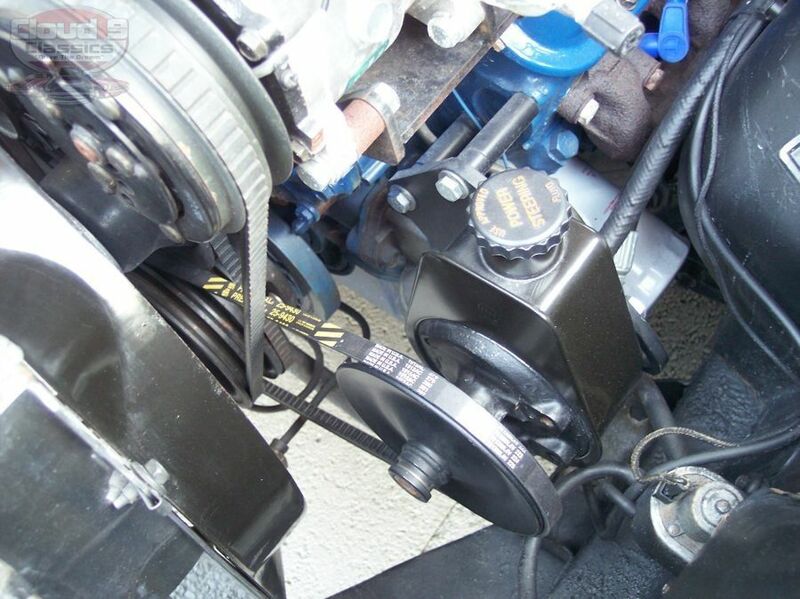 Of course the motor now has hardened seals to accept todays unleaded fuel. 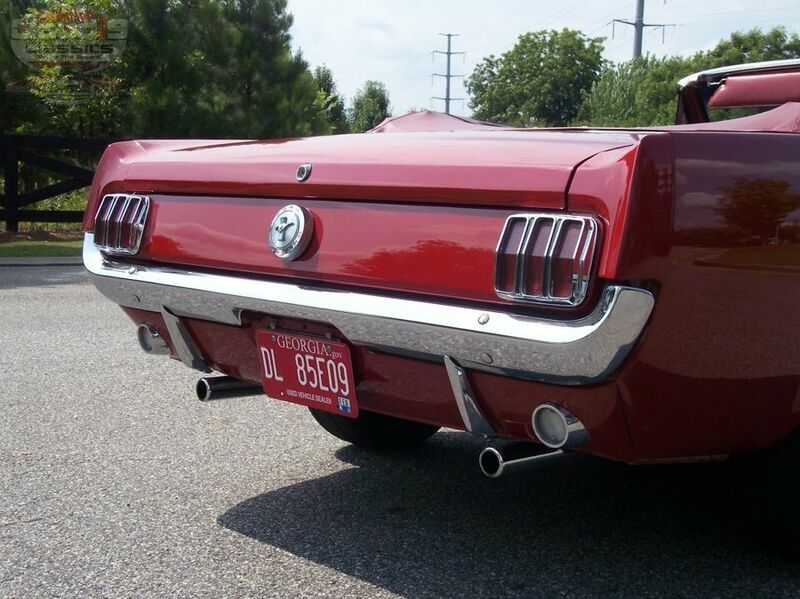 This motor truly purrs and now has a bit more rumble thanks to the new dual exhaust that was added in 2010. 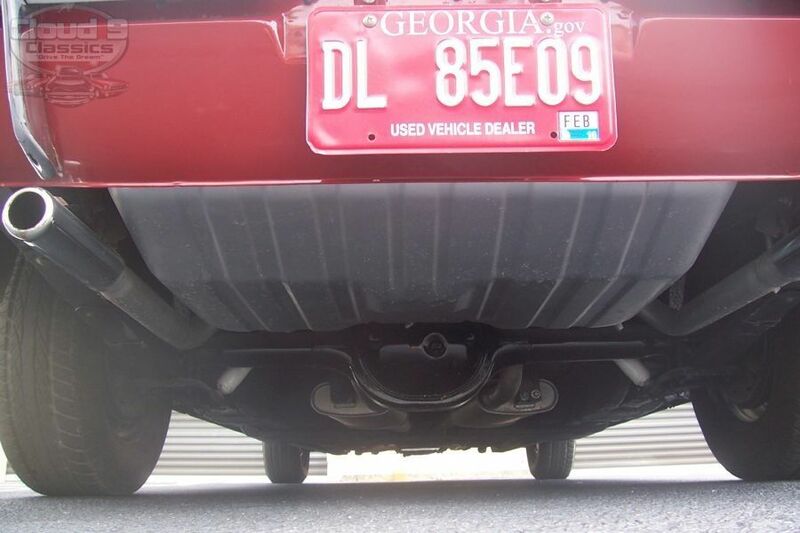 Several years ago the previous owner also decided it was time to upgrade the braking and handling and added power steering and power front disc brakes. 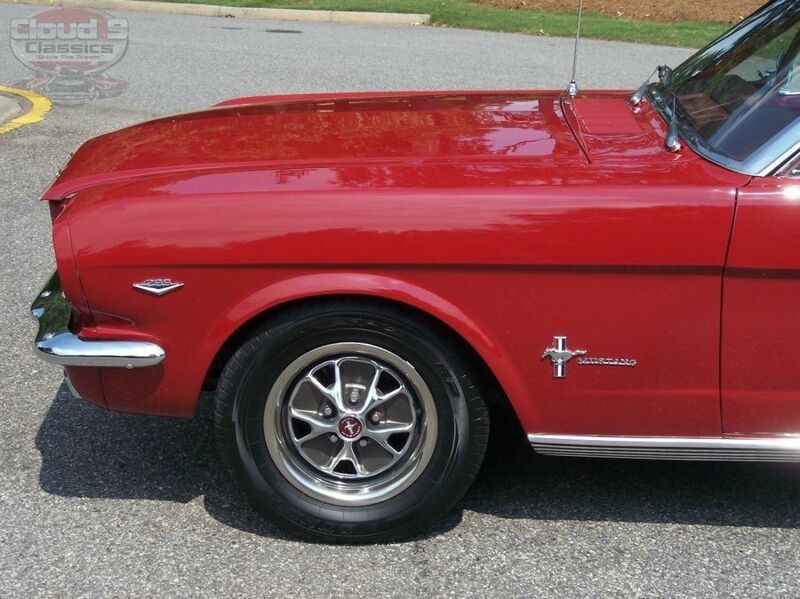 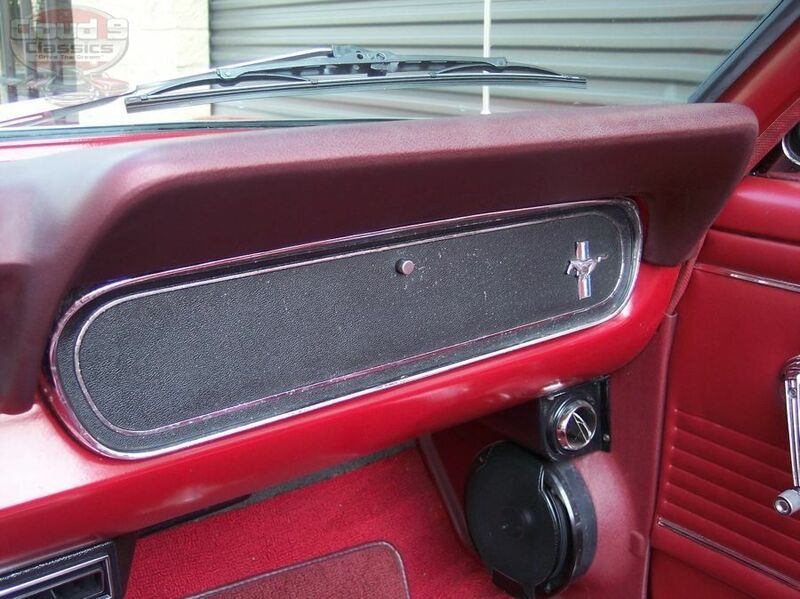 This Mustang performs beautifully, handles with ease and stops with no issue. 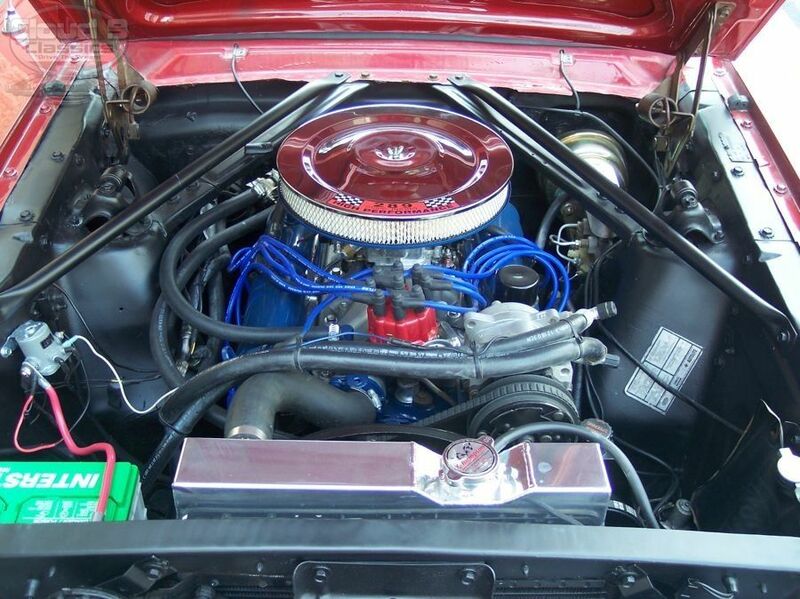 An aluminum radiator was also added to keep her running cool. 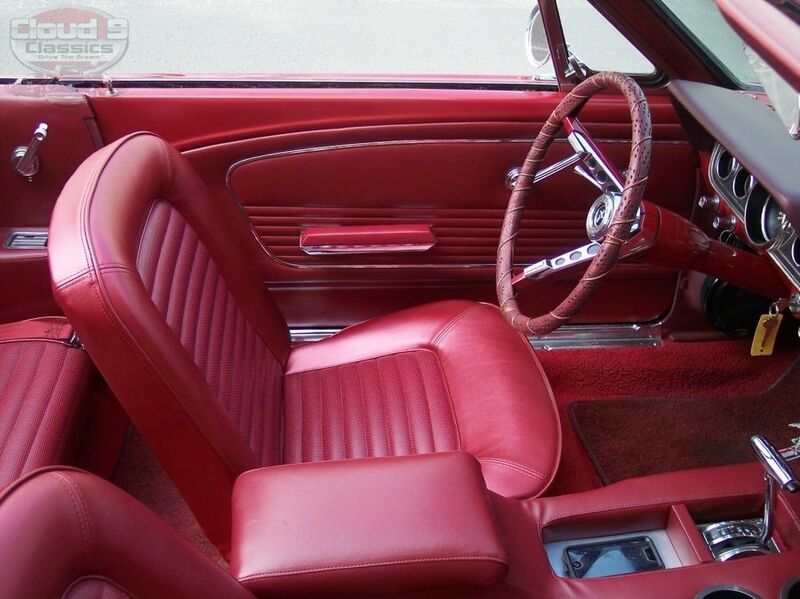 The C-4 automatic transmission shifts strong and smooth. 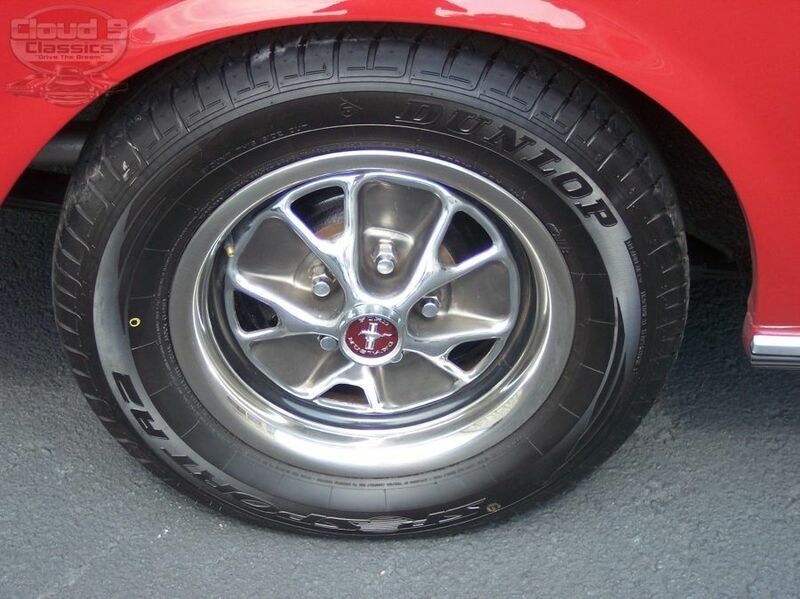 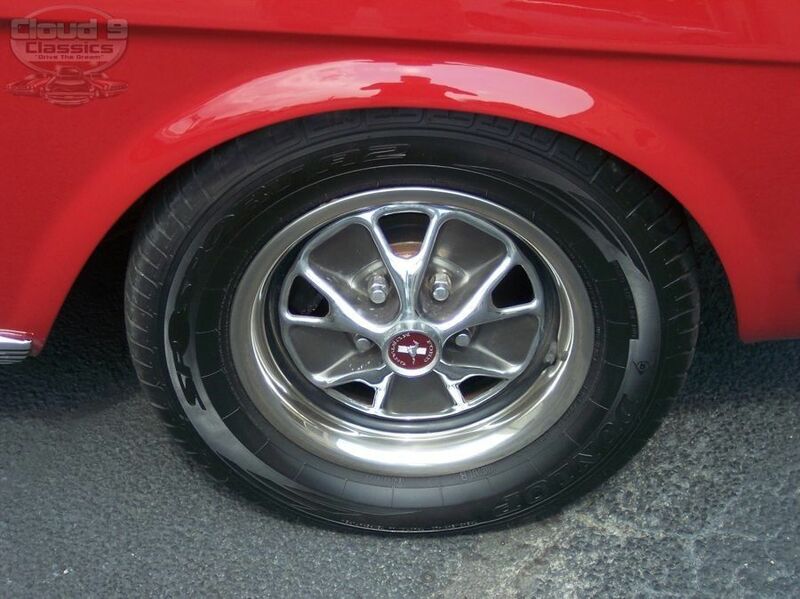 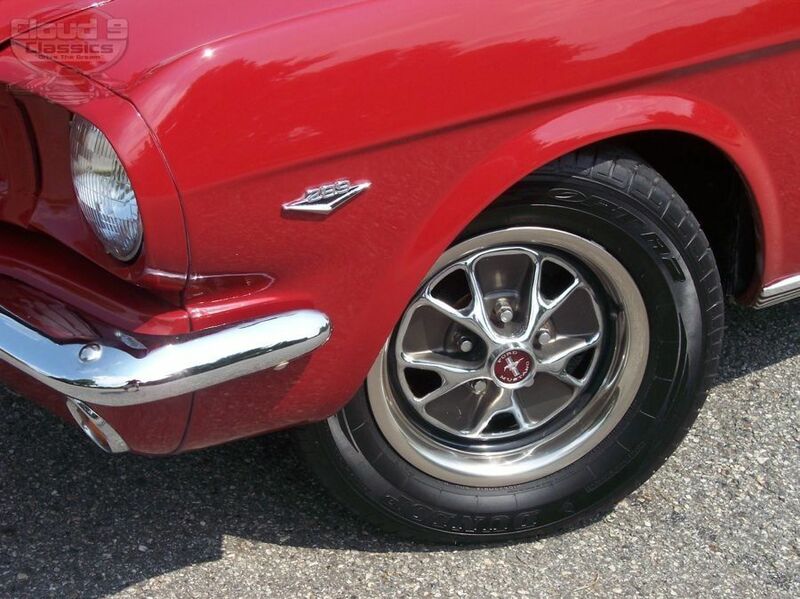 Great set of Styled Steel wheels are wrapped in Dunlop performance radials with tons of tread life left. 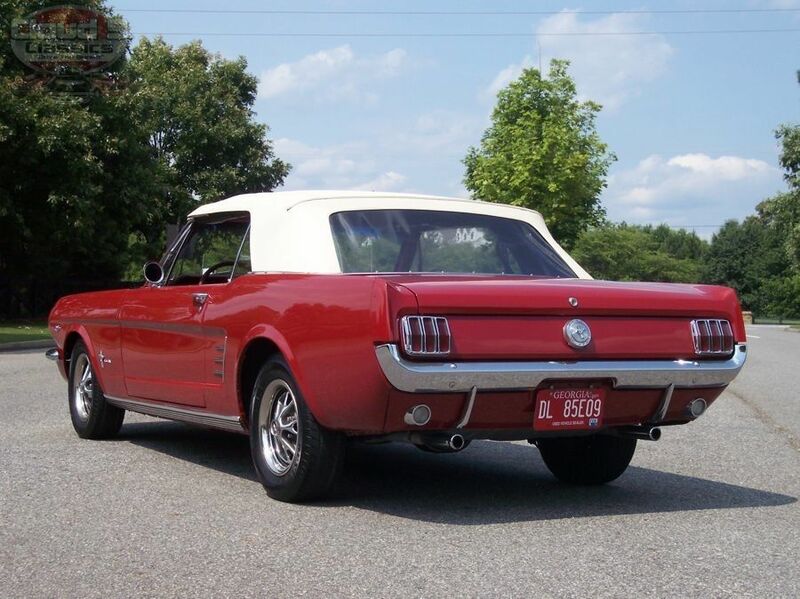 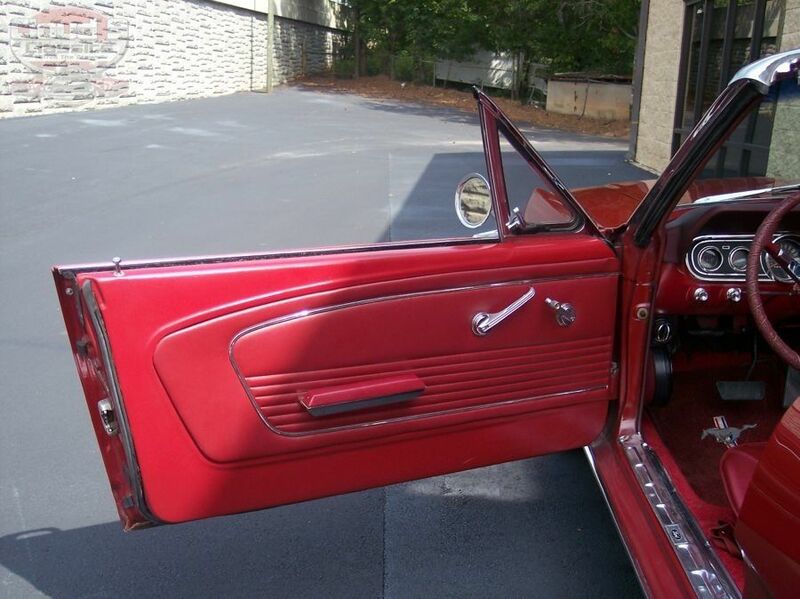 The next owner should not need to do anything but turn the key and enjoy this classic! 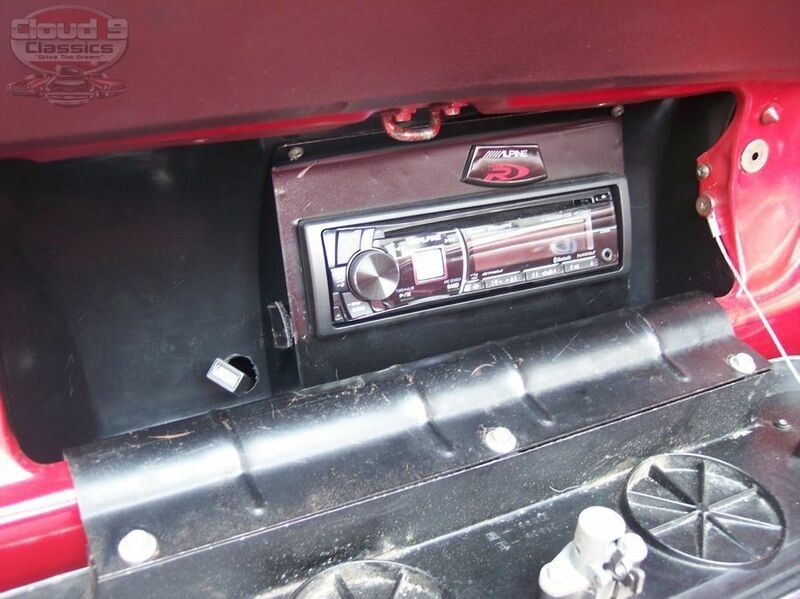 Make sure you listen to the video that follows to hear it start up and running. 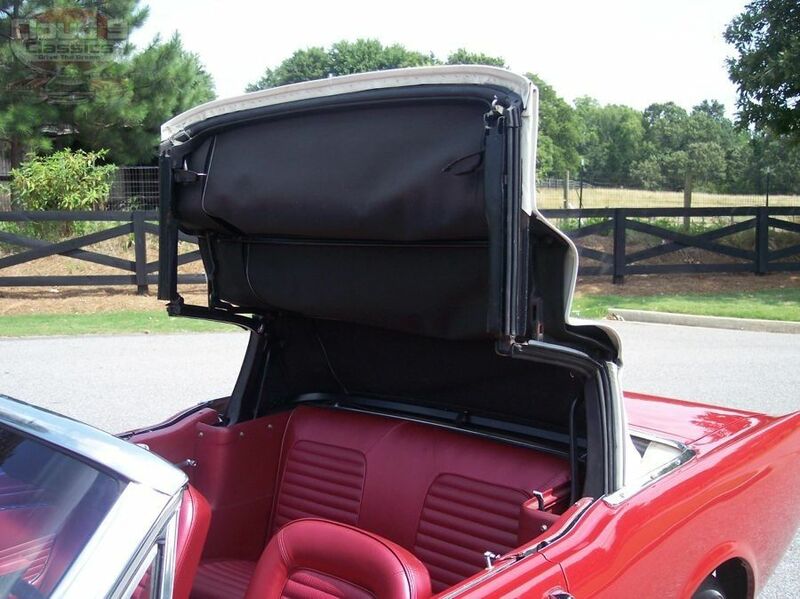 Inside of the trunk is rock solid with no rust issues. 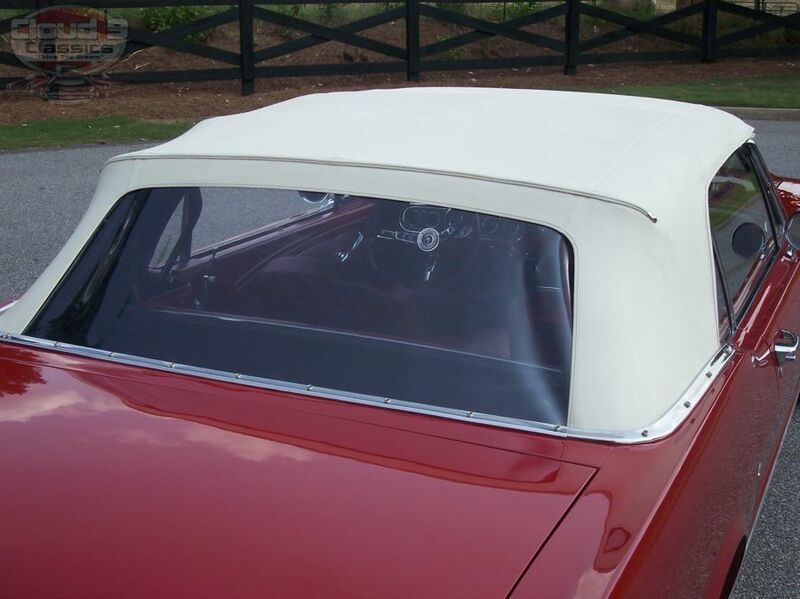 It is finished off nicely with the correct mat and a car cover will also be included. 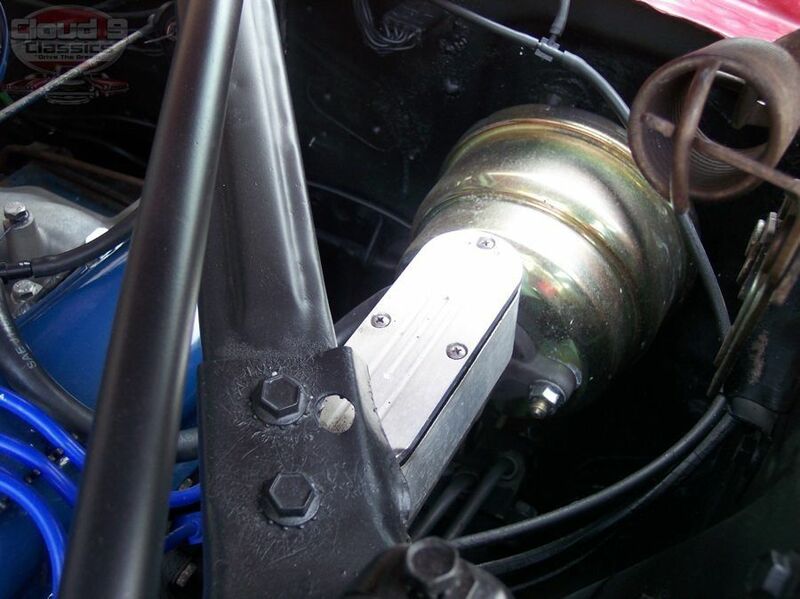 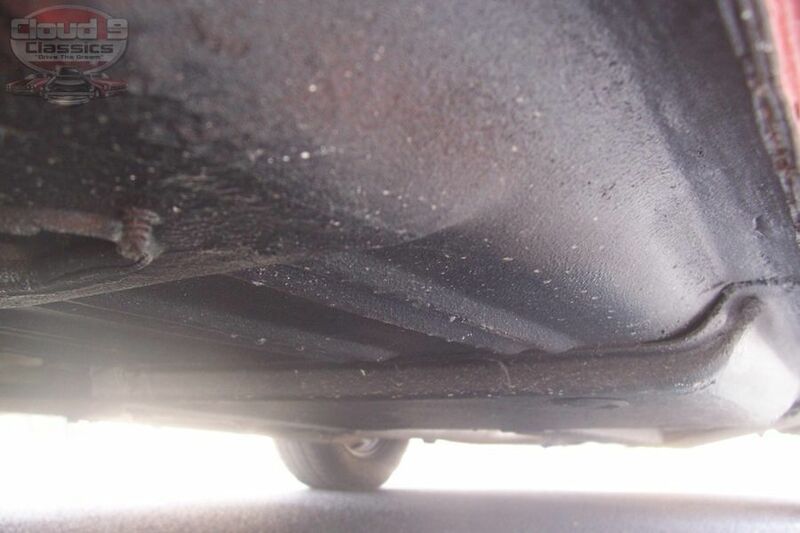 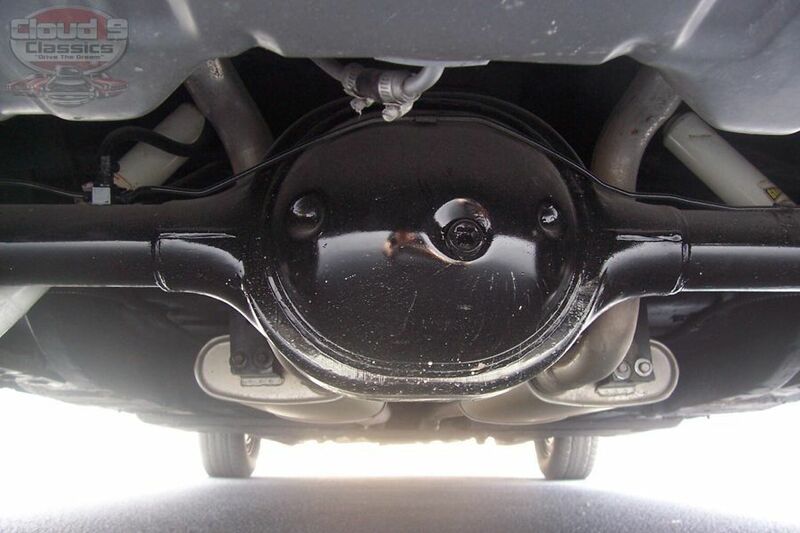 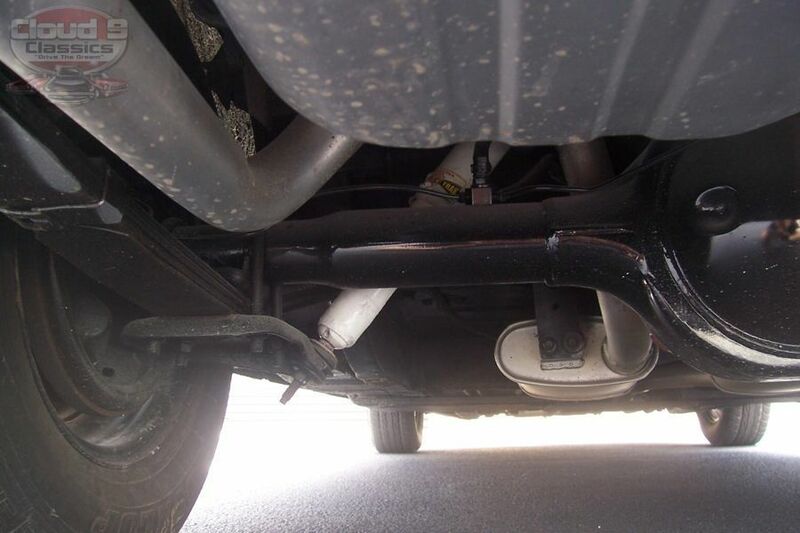 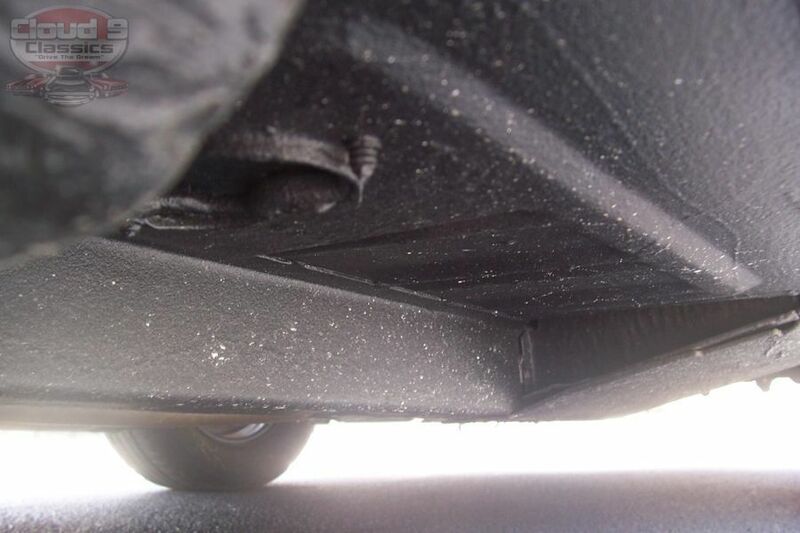 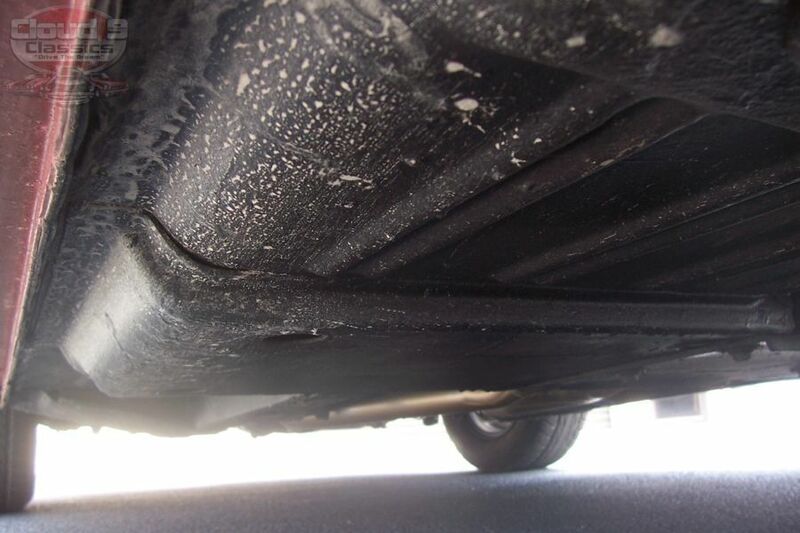 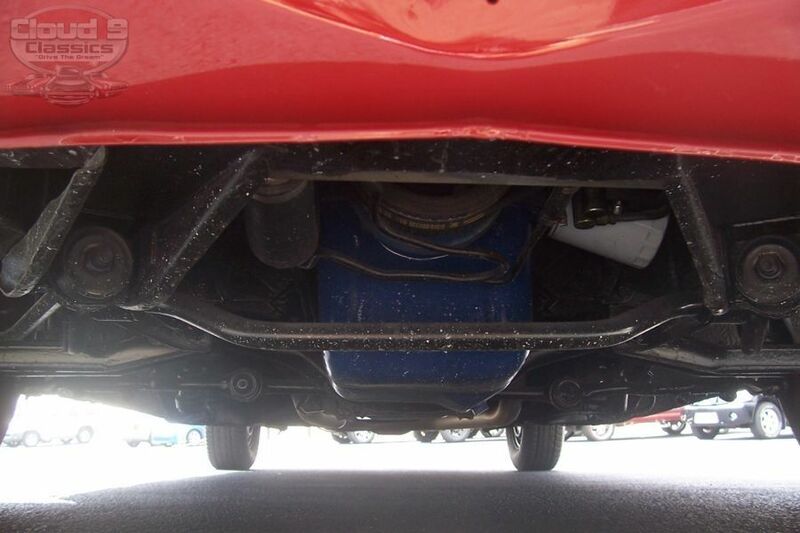 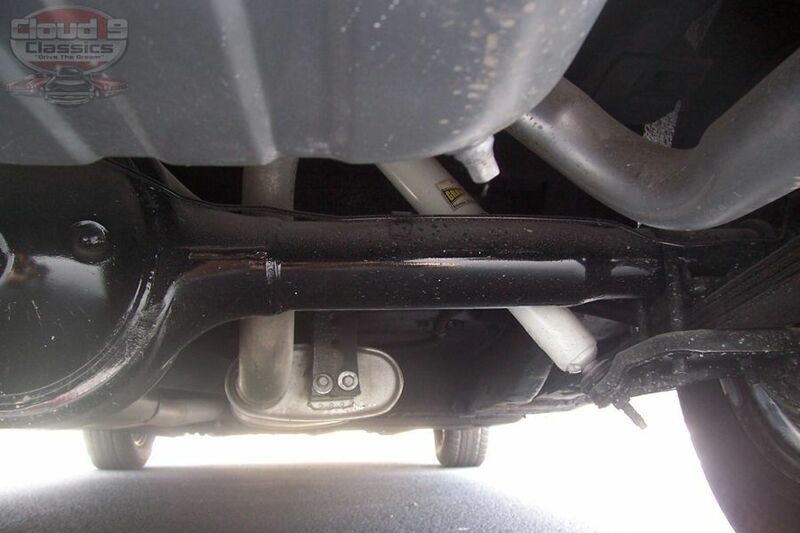 The undercarriage is also rock solid with no rust issues. 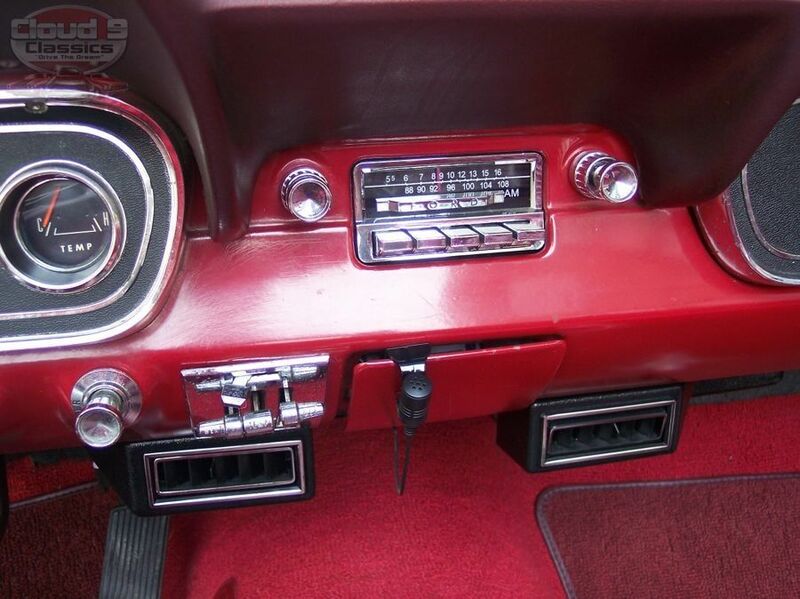 Floorpans and torque boxes were lightly undercoated at some point. 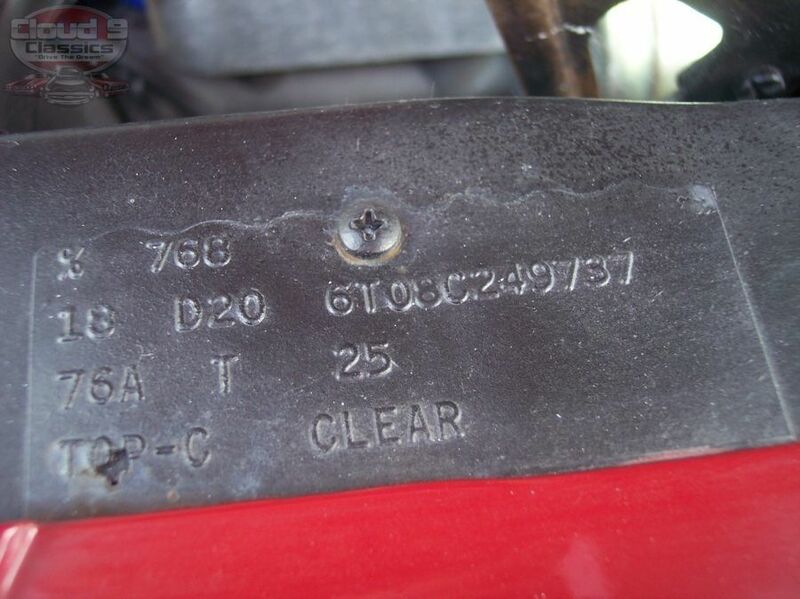 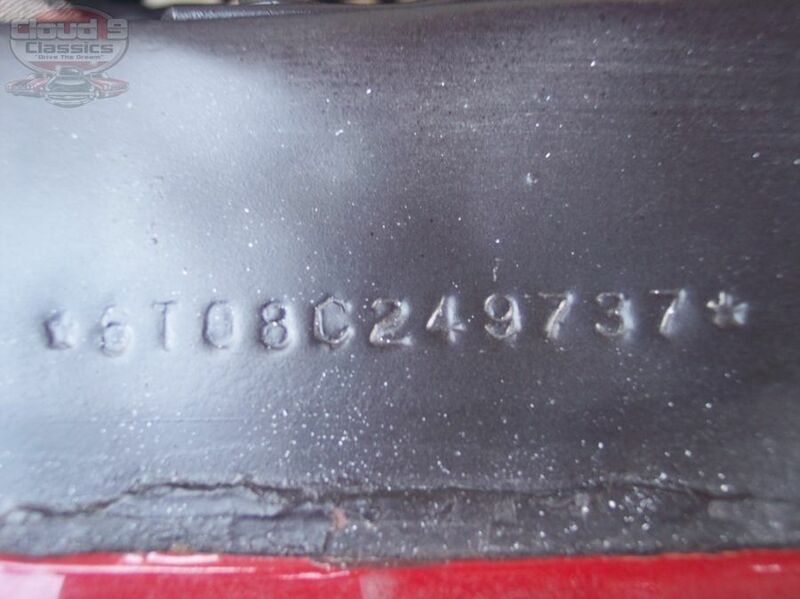 The vin # is stamped on the drivers side inner fender and an original fender tag is also mounted with the matching vin #. 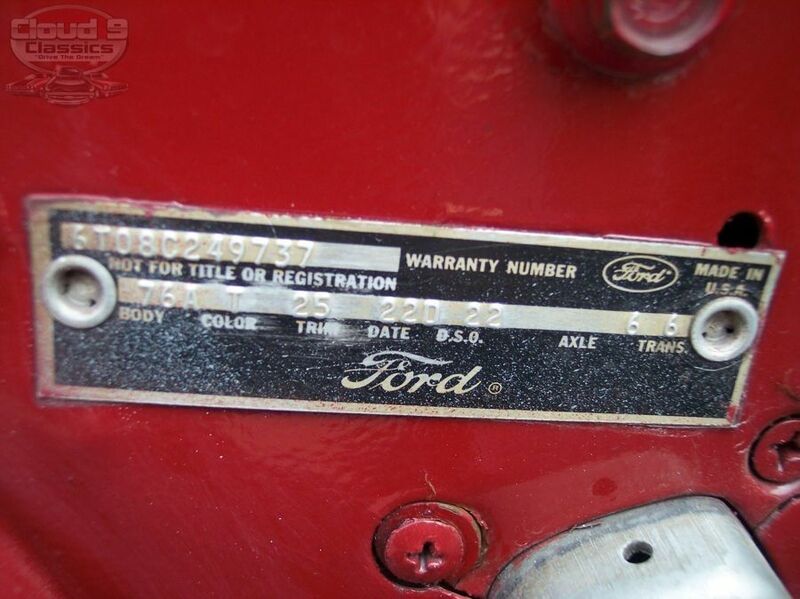 The original door tag is also in place. 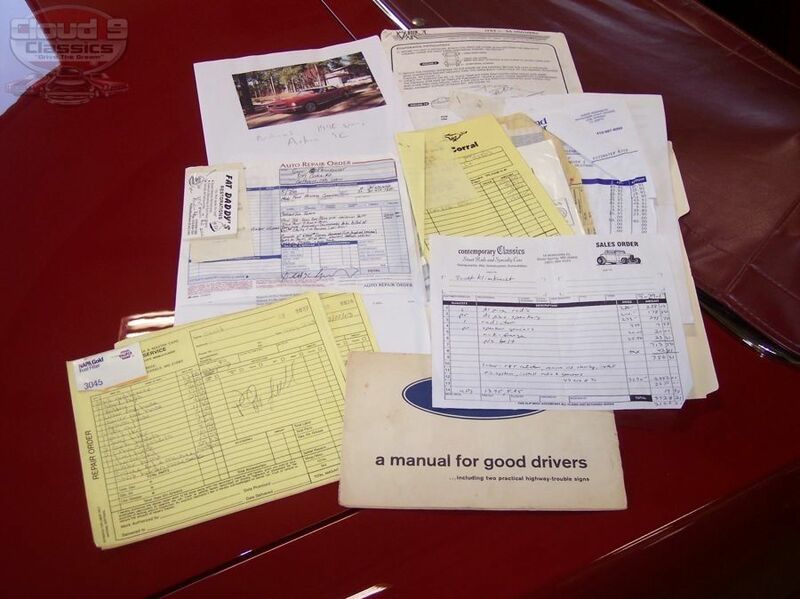 We do have receipts for quite a bit of the major work that has been described that will go with the car! 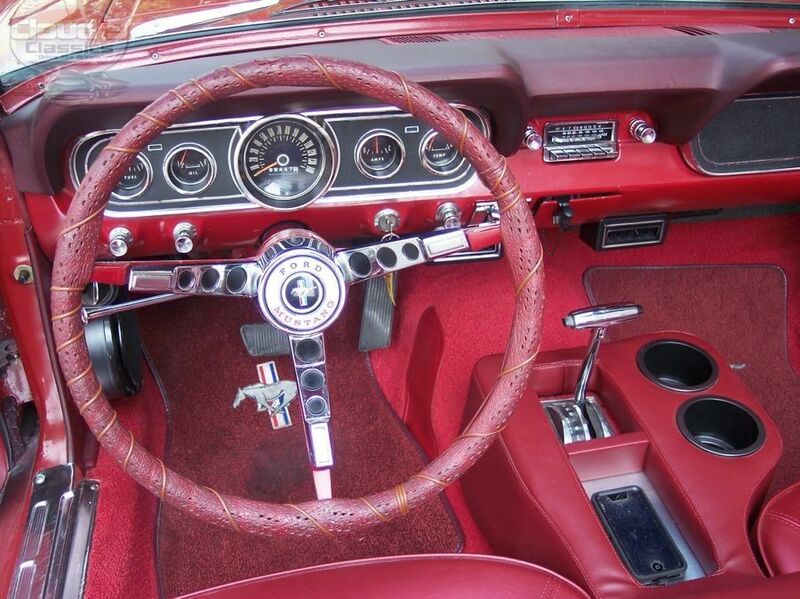 Have a look and listen to the video that follows. 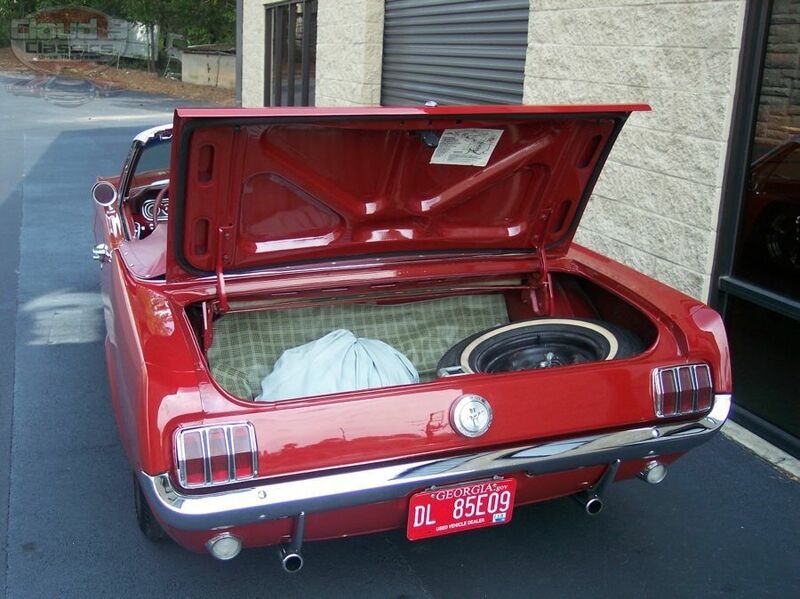 Hopefully at this point you can see that this is a truly awesome, investment quality, Classic Mustang Convertible. 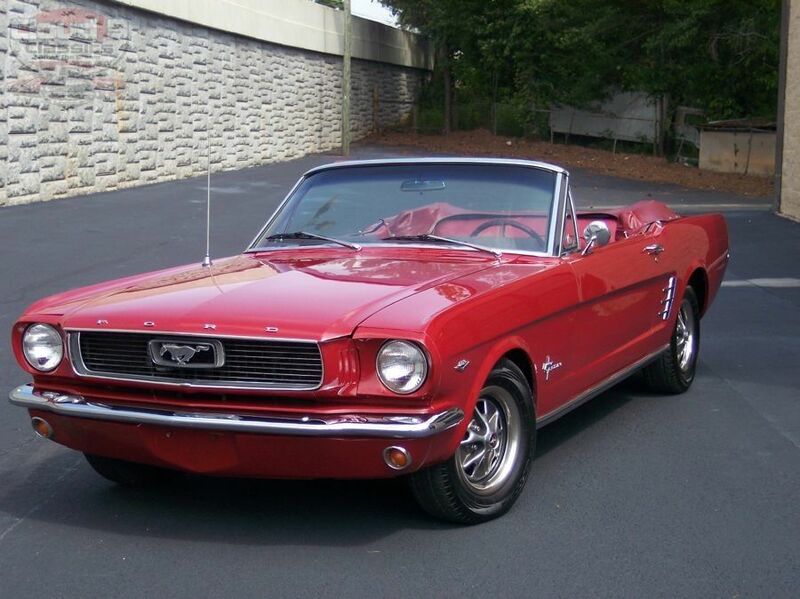 I am confident that the next lucky owner is going to be absolutely thrilled when this car arrives! 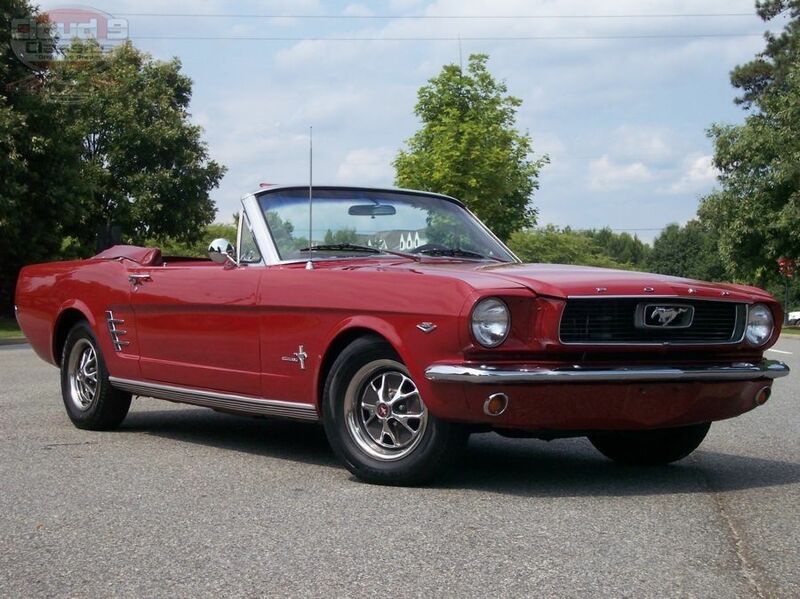 Since we do have this car advertised on our website and several others I encourage serious buyers to call me to discuss the possibility of getting this car in your garage before the next lucky car guy or gal does. 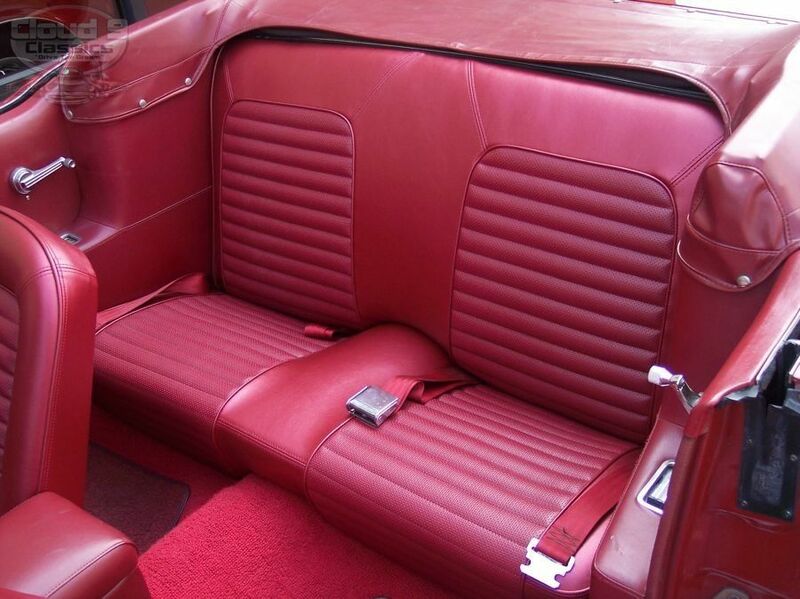 I am also always open to answering any questions you may have. 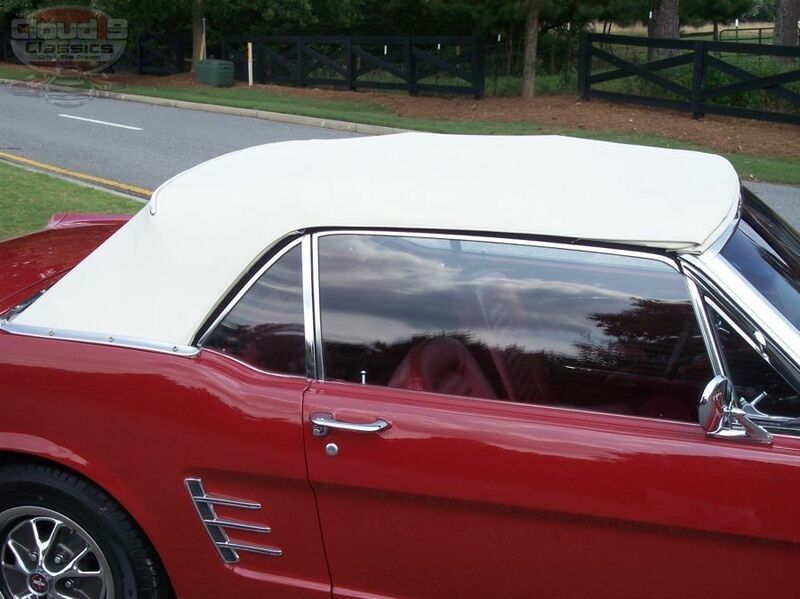 Serious buyers can call me at 770-359-8400!